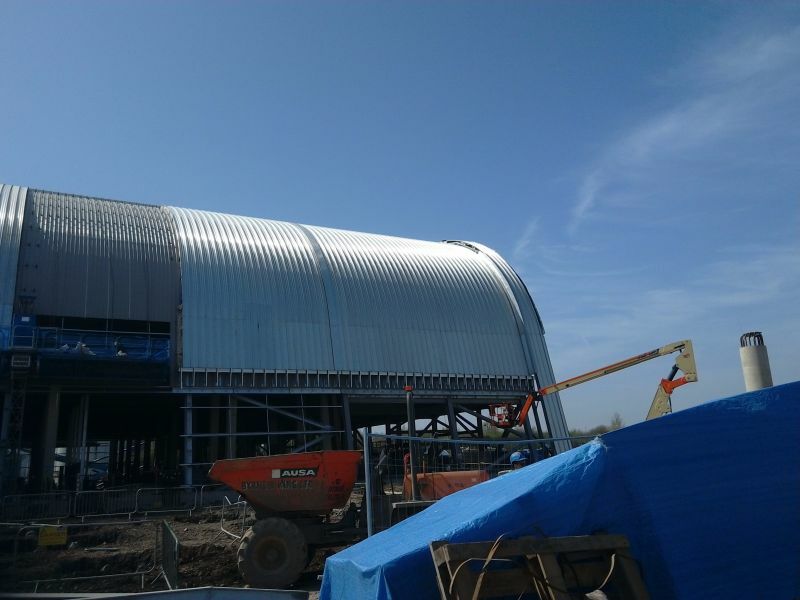 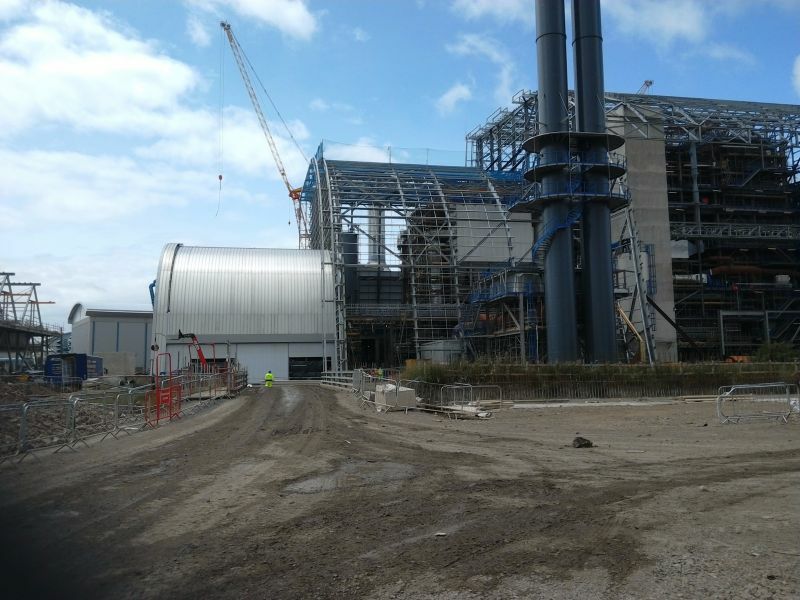 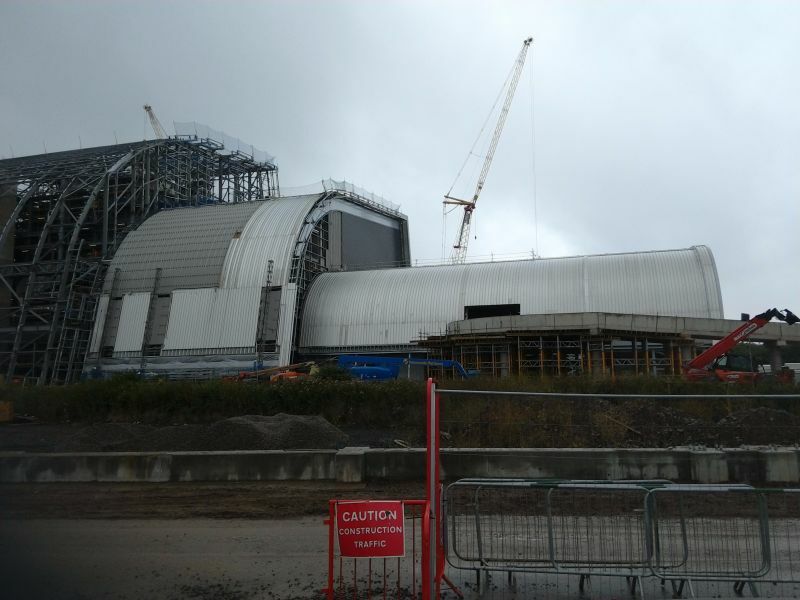 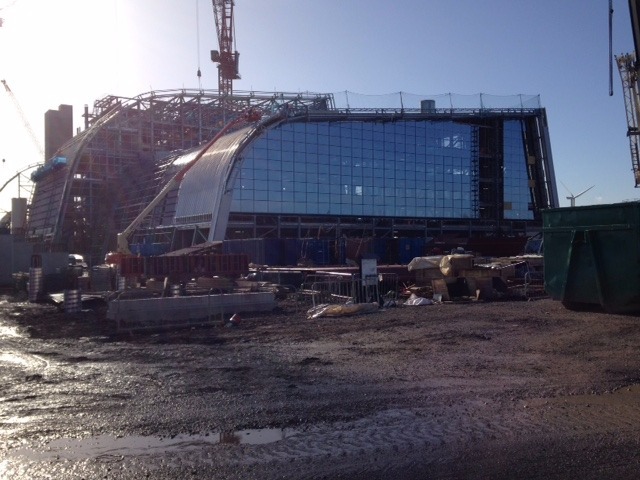 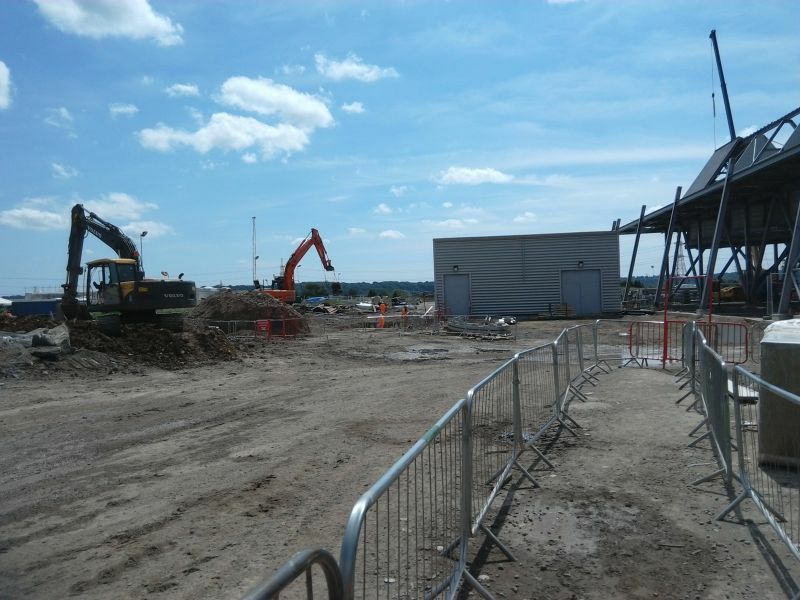 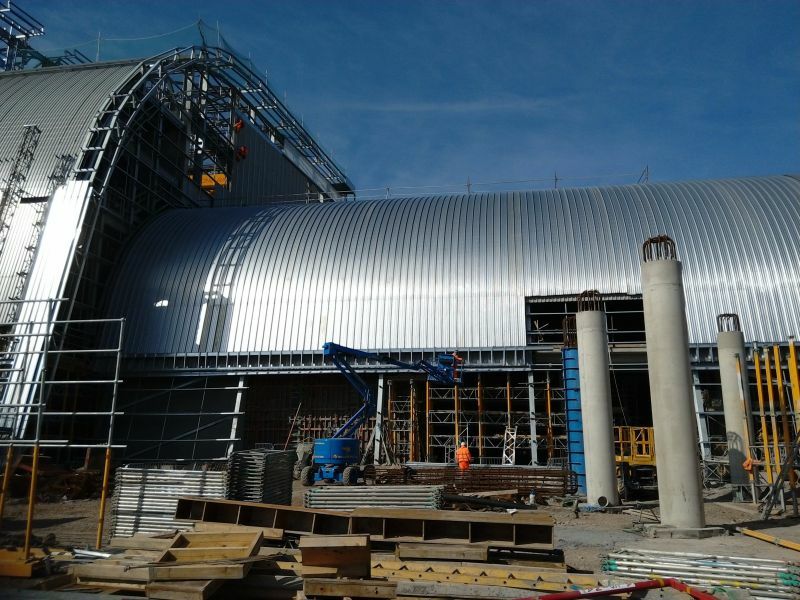 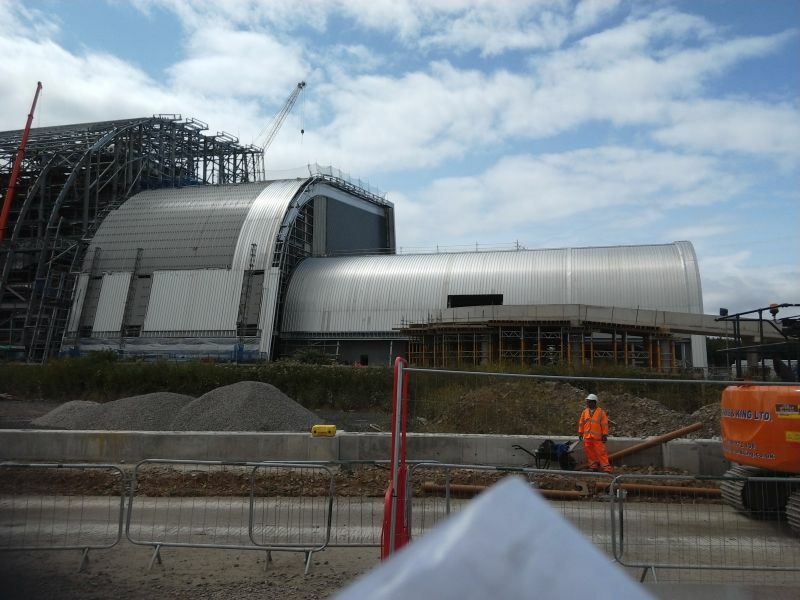 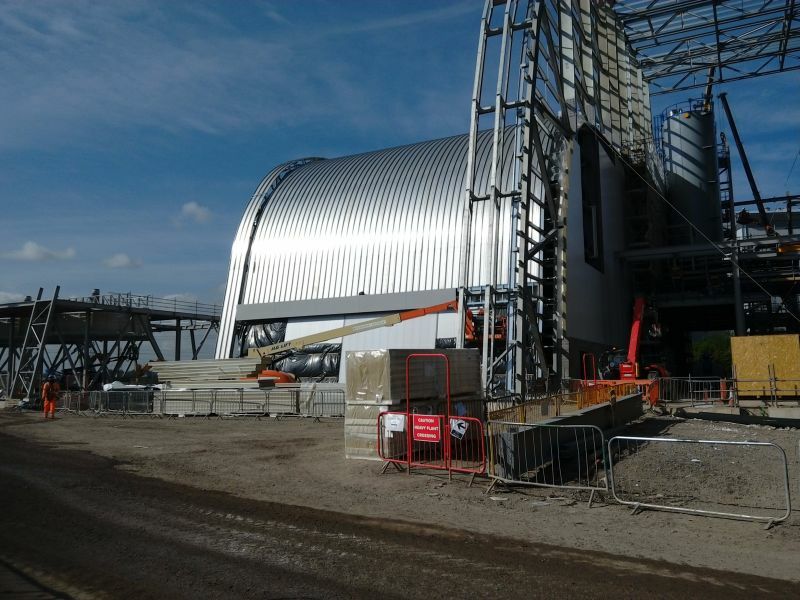 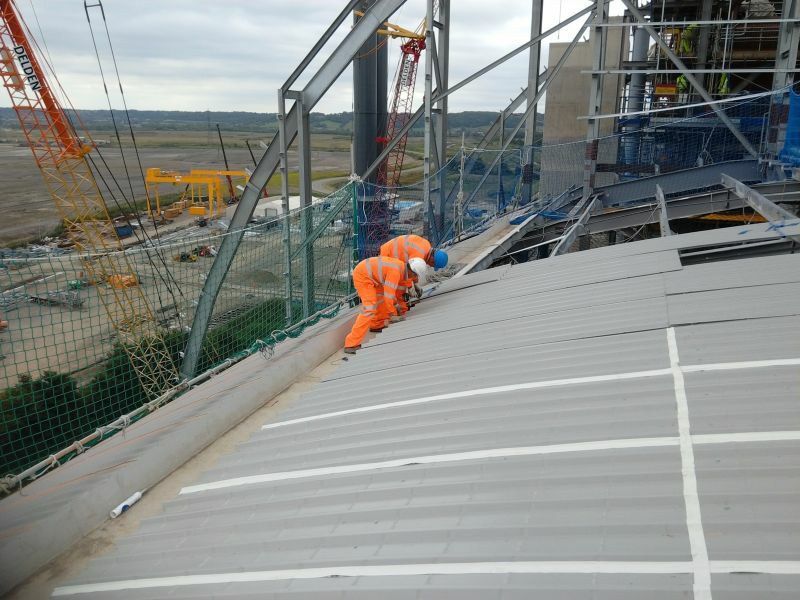 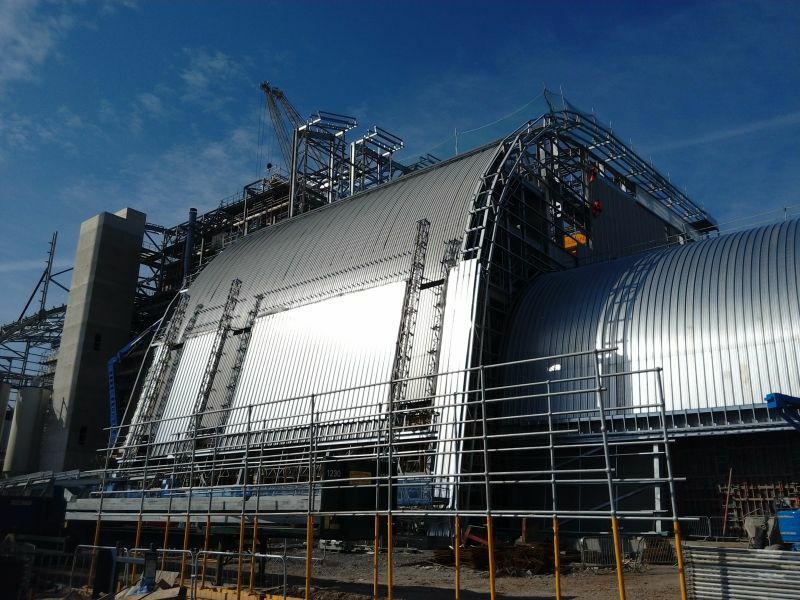 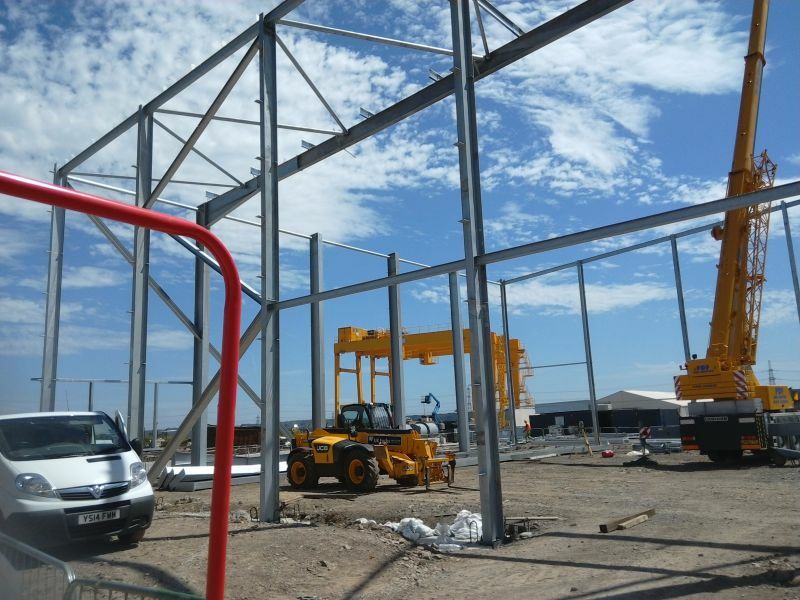 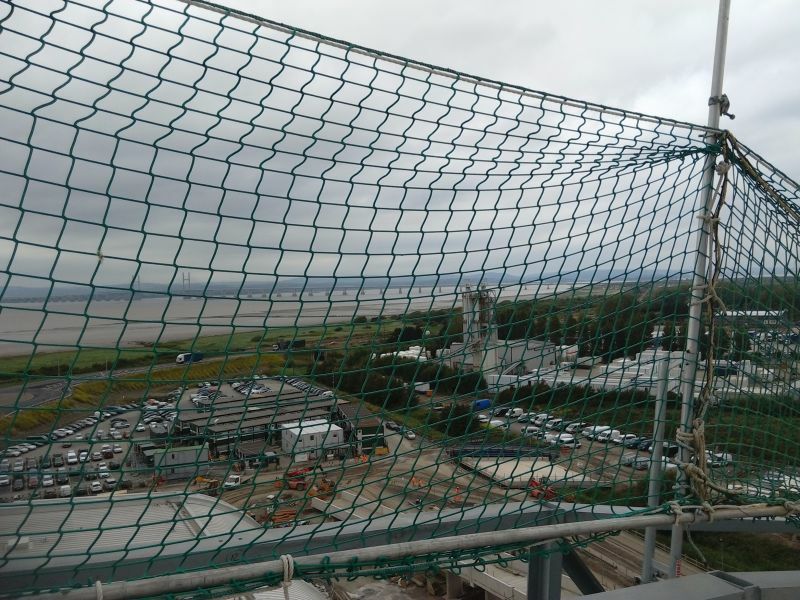 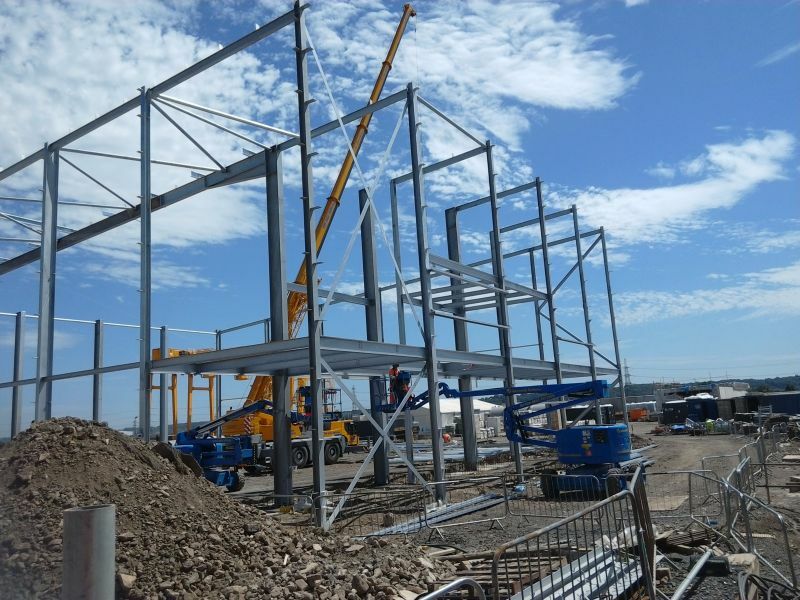 Severnside is a Energy Recovery Center under construction for Sita Environmental with HZI & Sir Robert McAlpine. 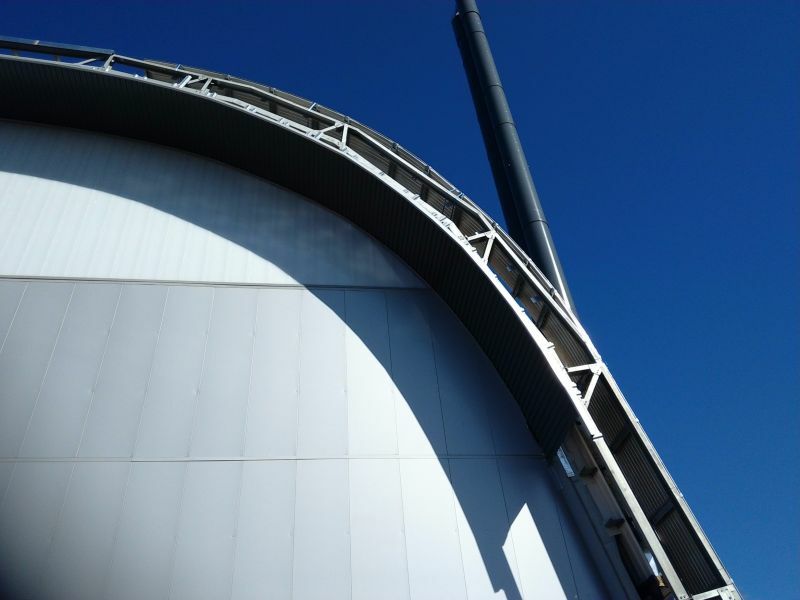 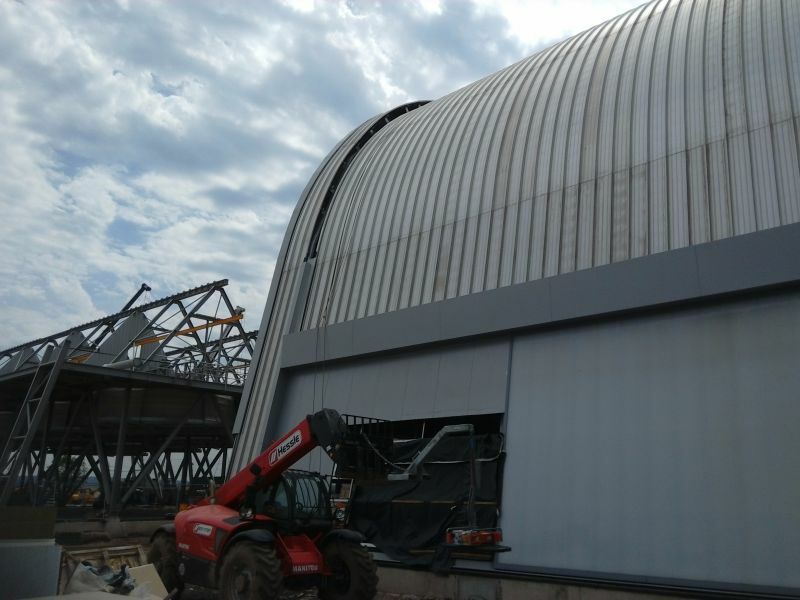 Sita estimate that the site will develop 32 megawatts of evergy from around 400,000 tonnes of non-recyclable waste, enough to power 50,000 homes, according to Sita's website. 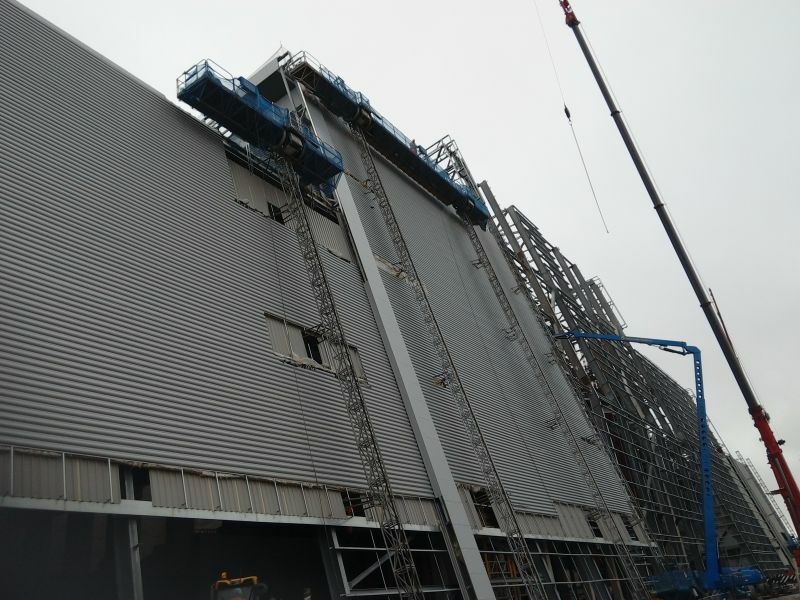 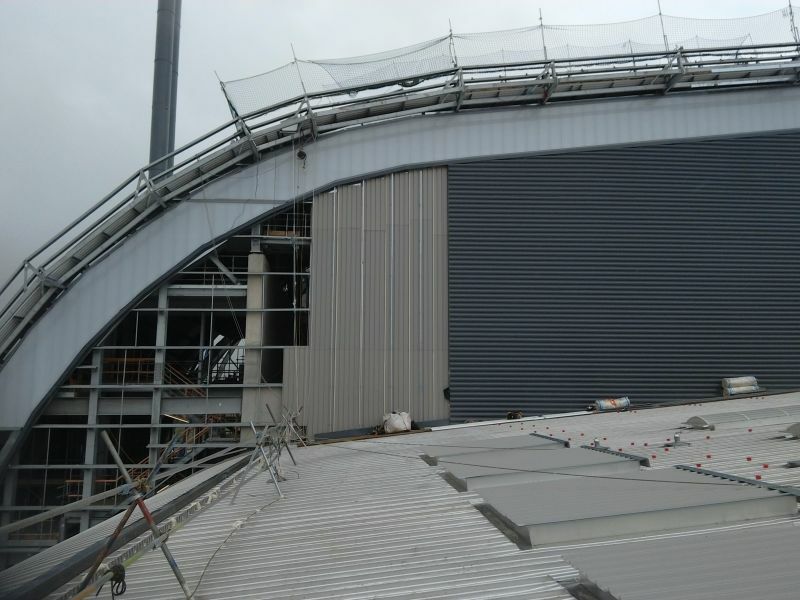 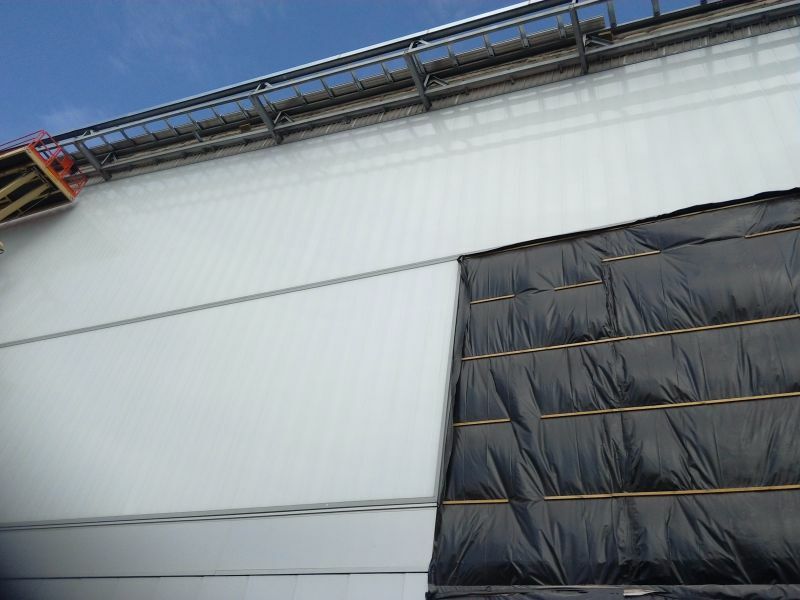 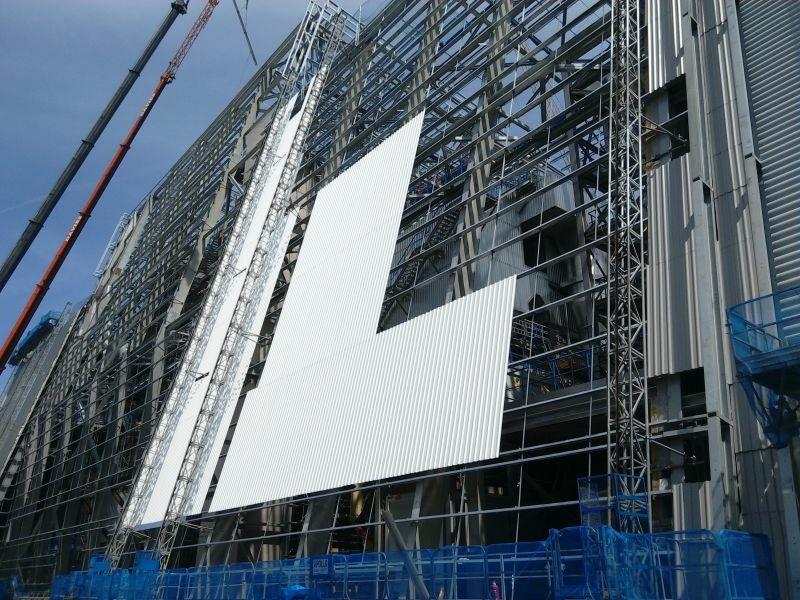 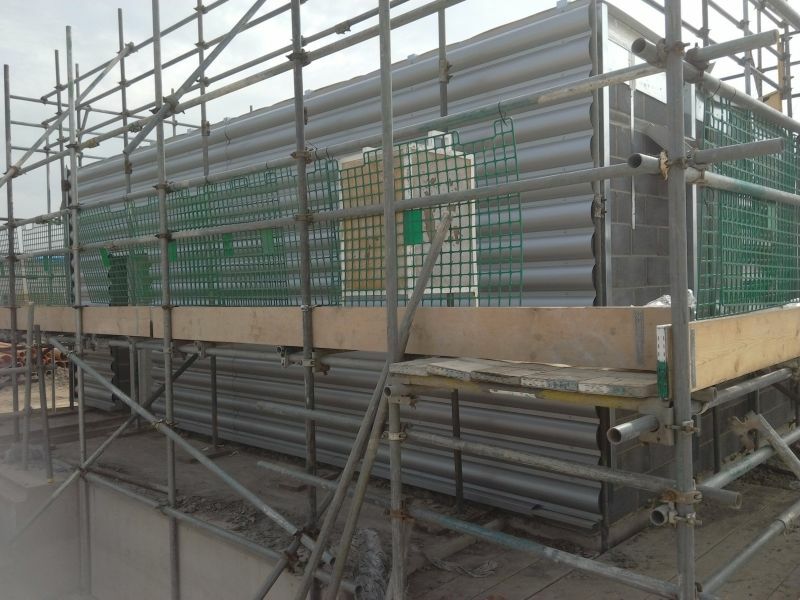 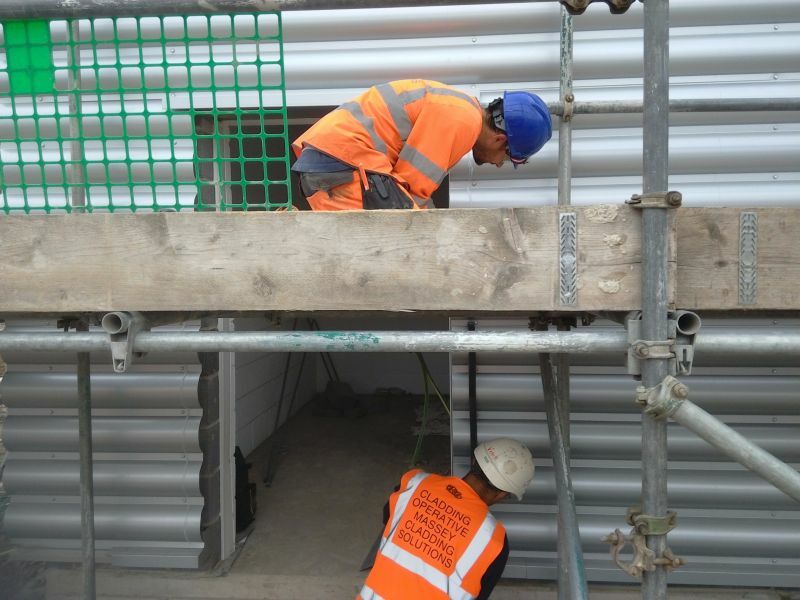 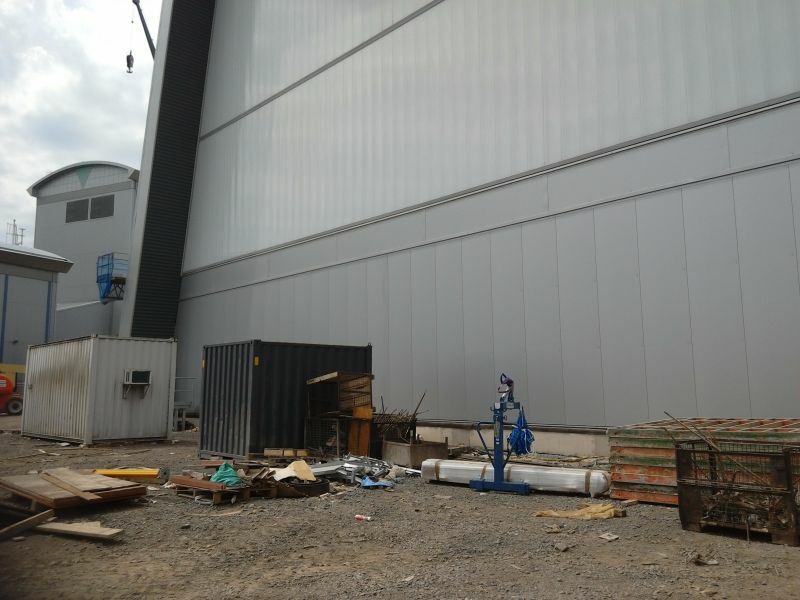 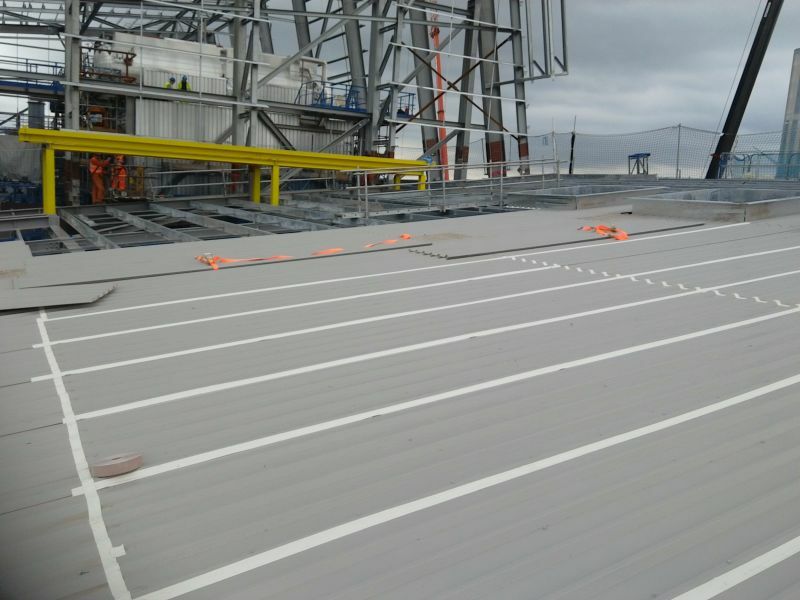 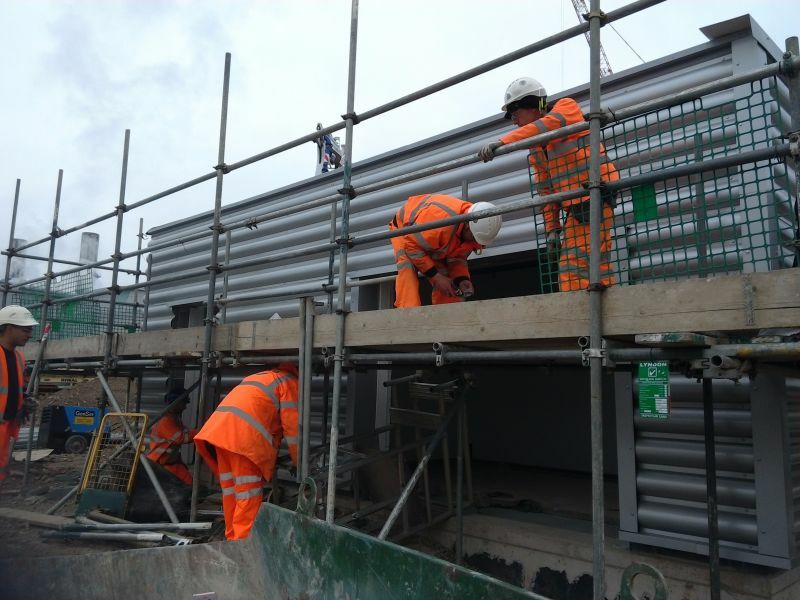 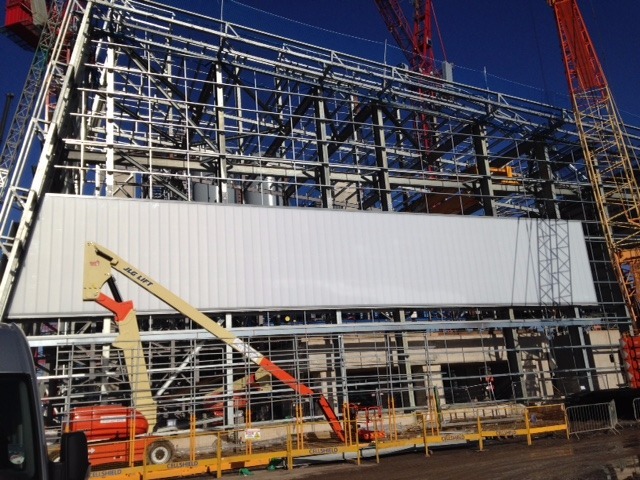 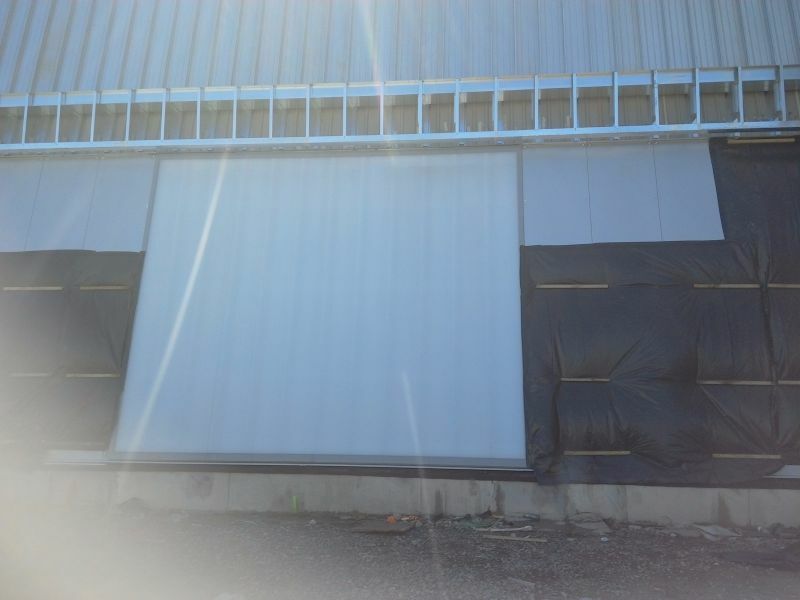 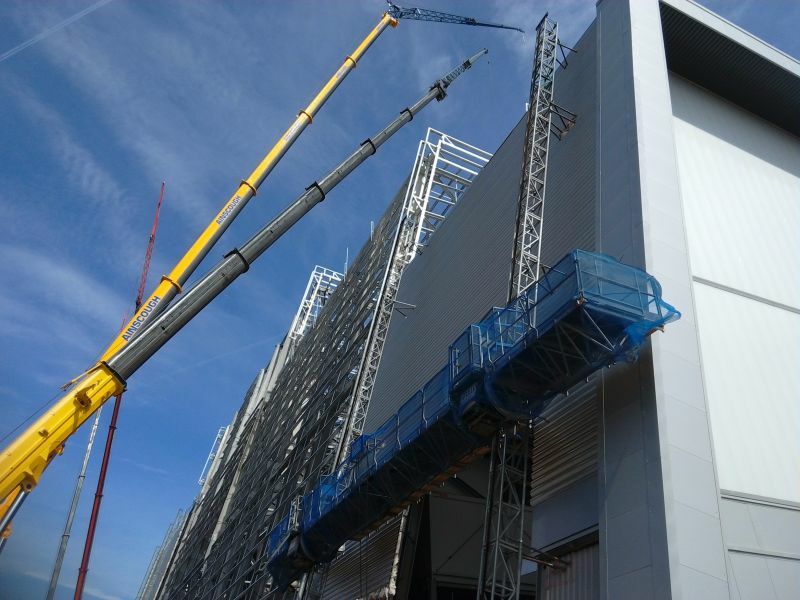 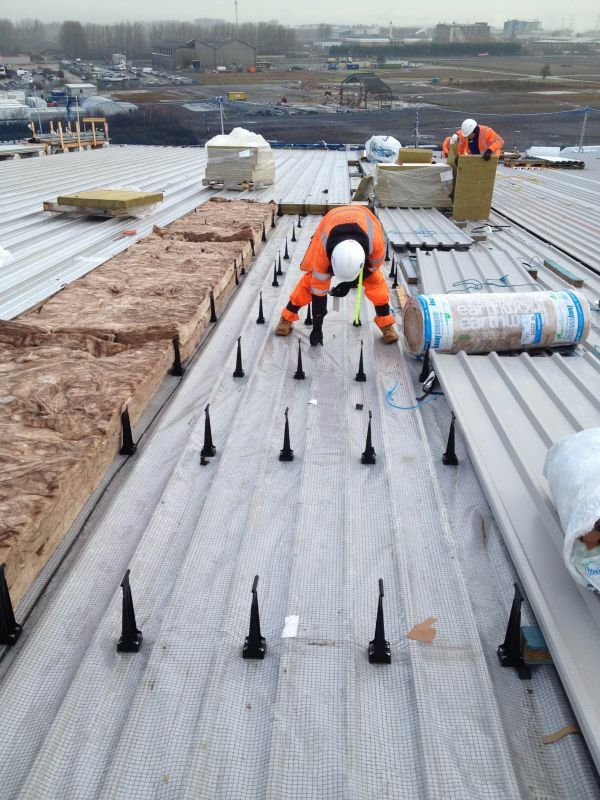 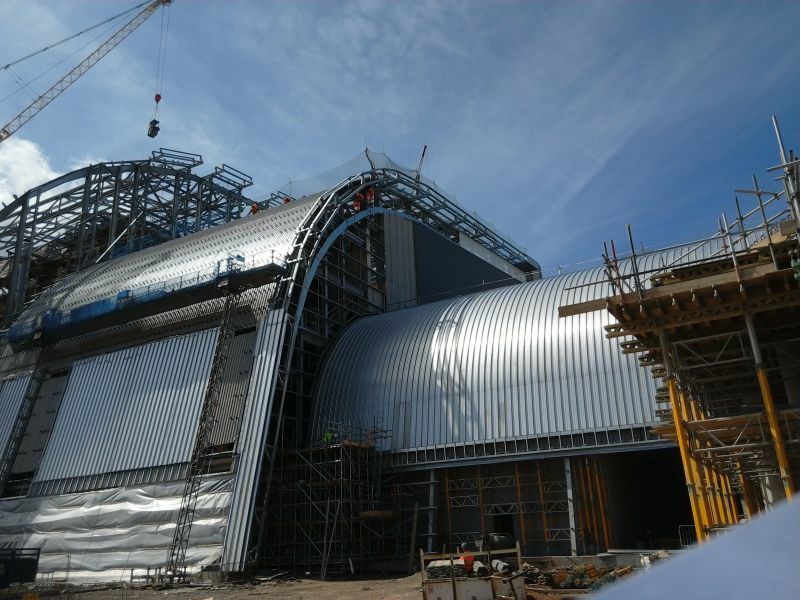 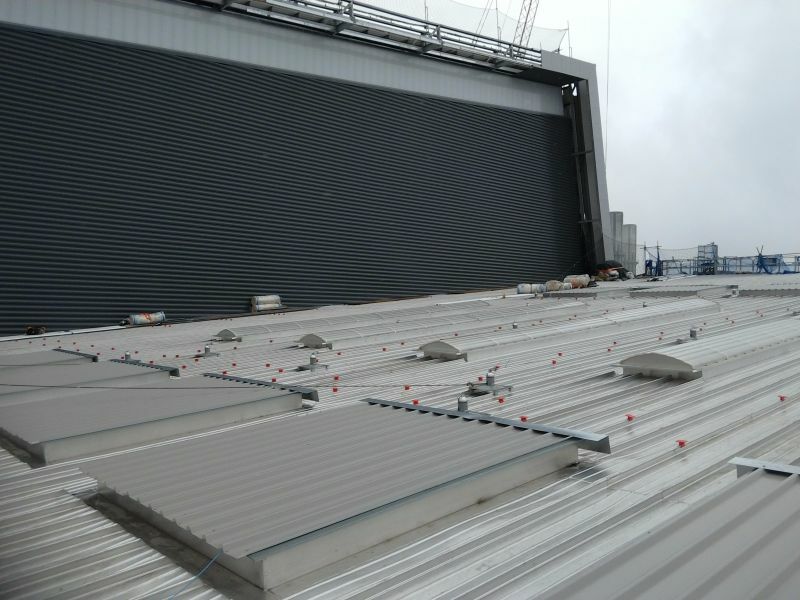 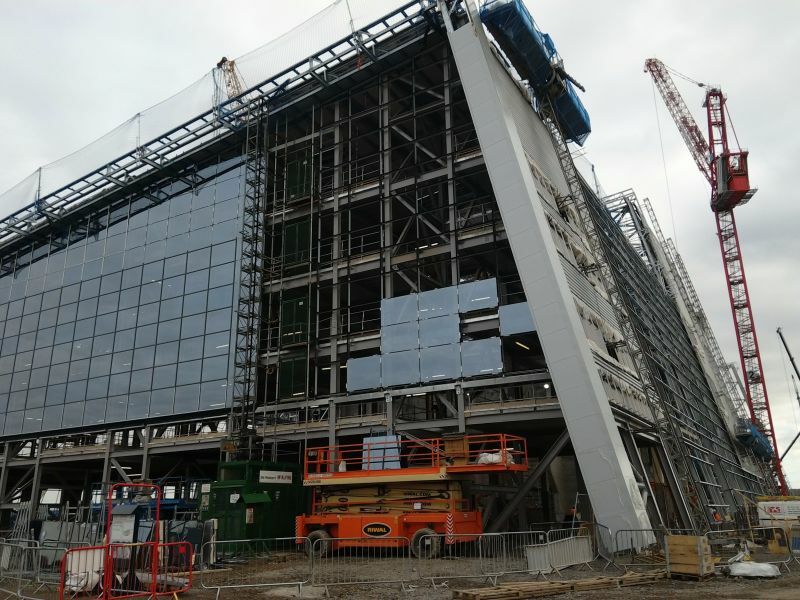 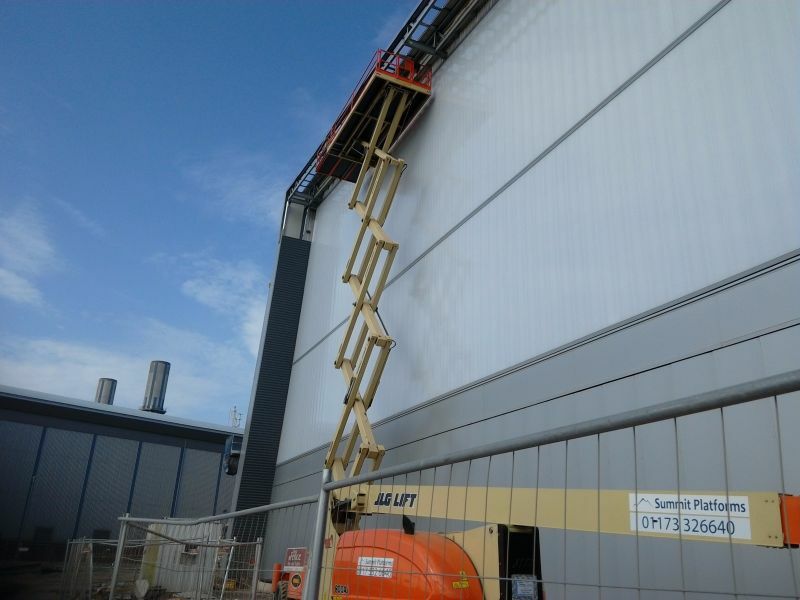 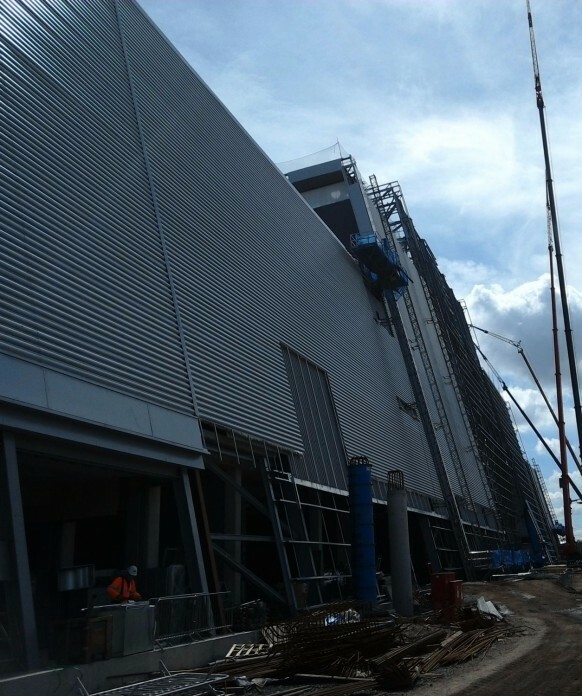 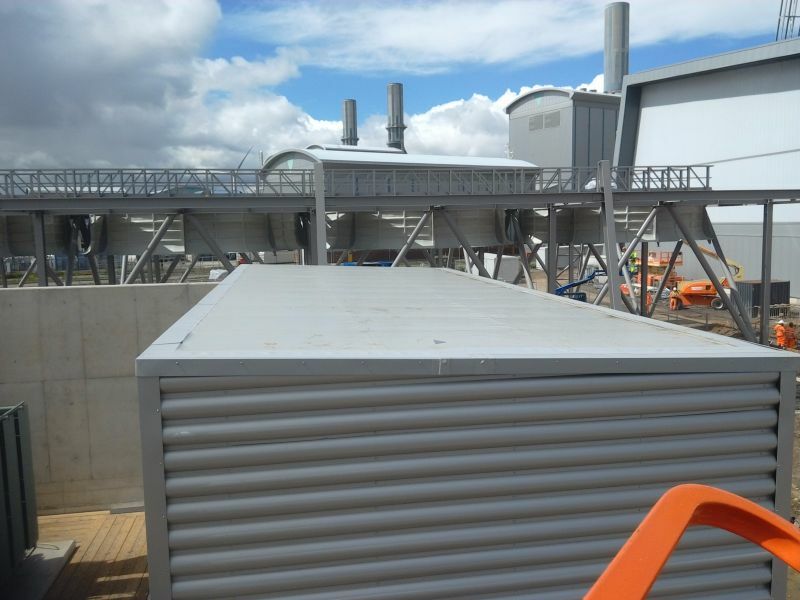 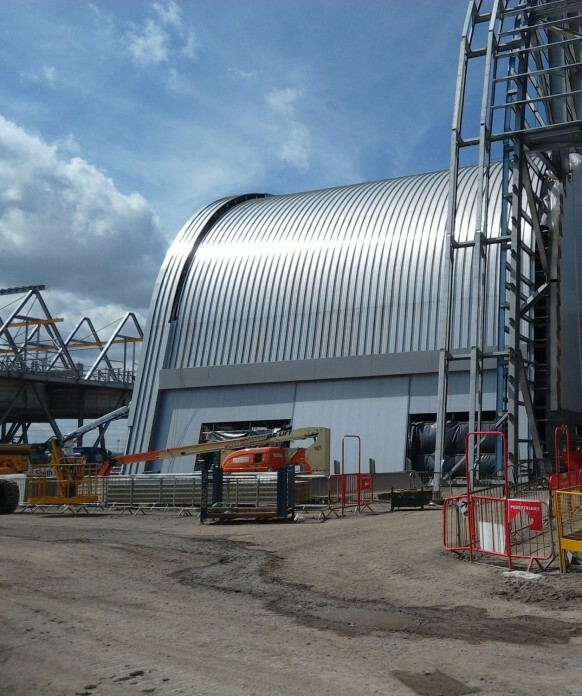 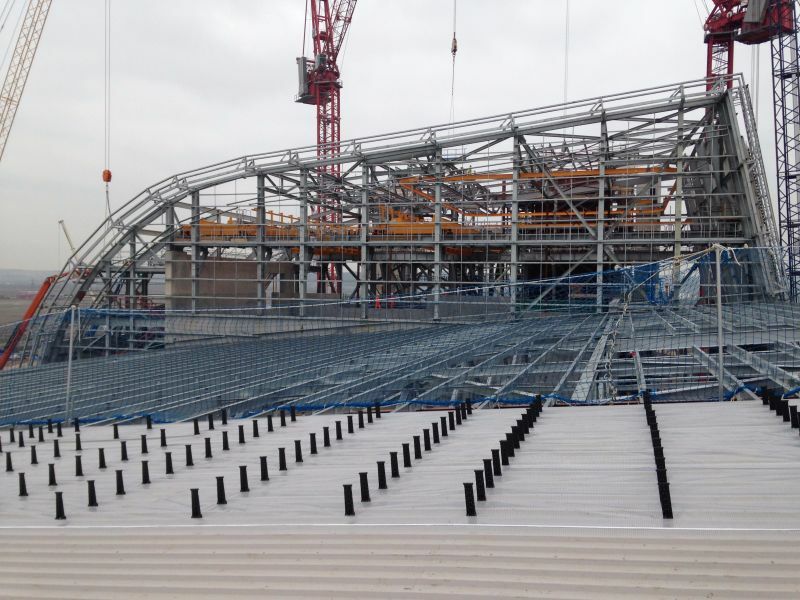 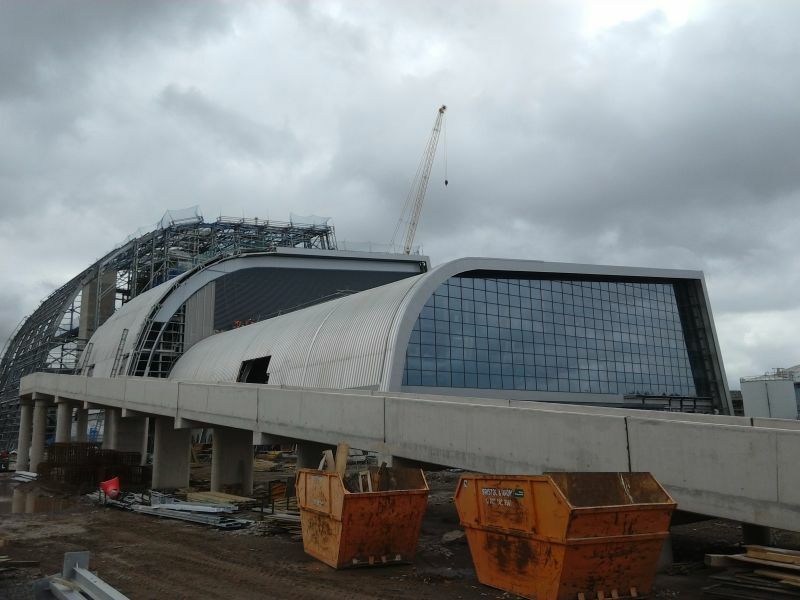 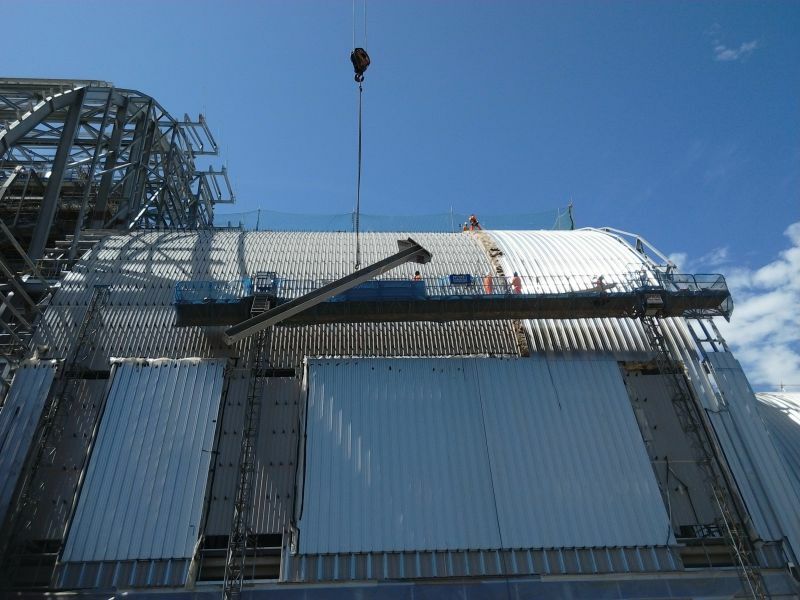 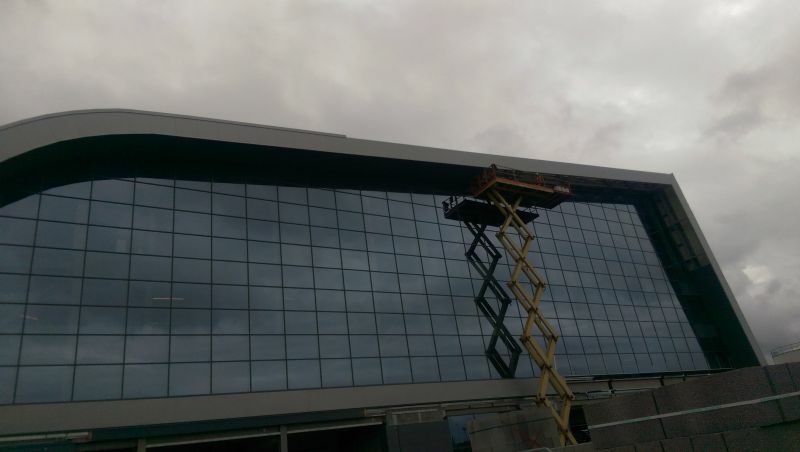 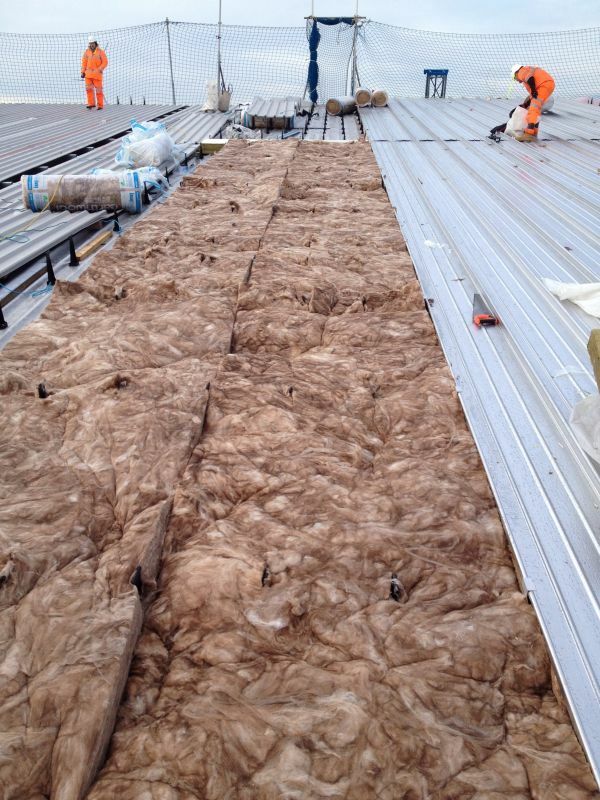 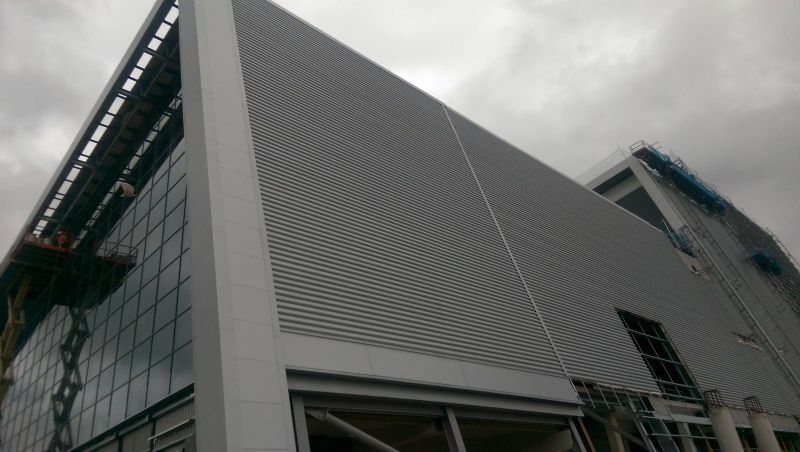 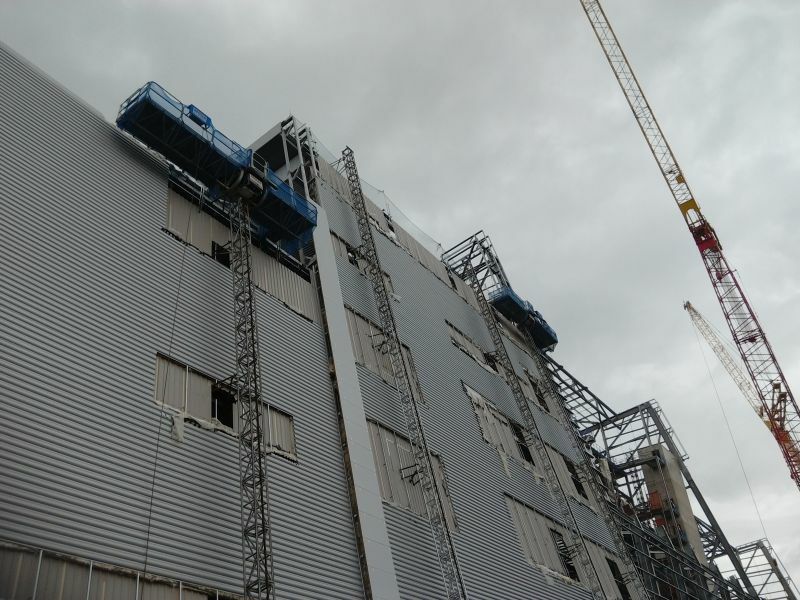 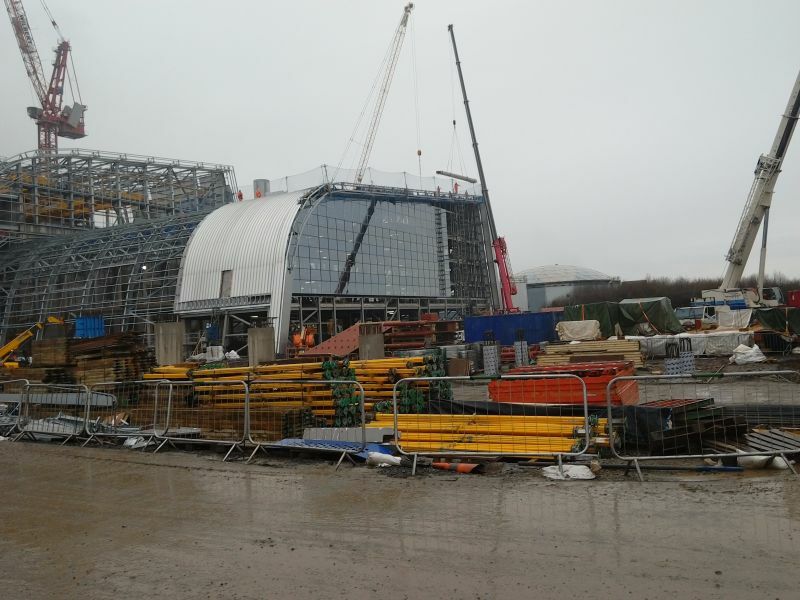 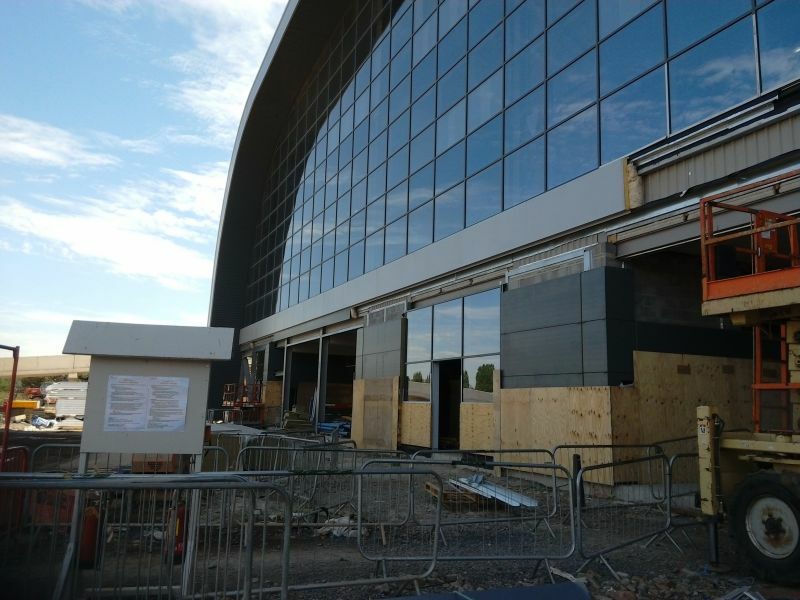 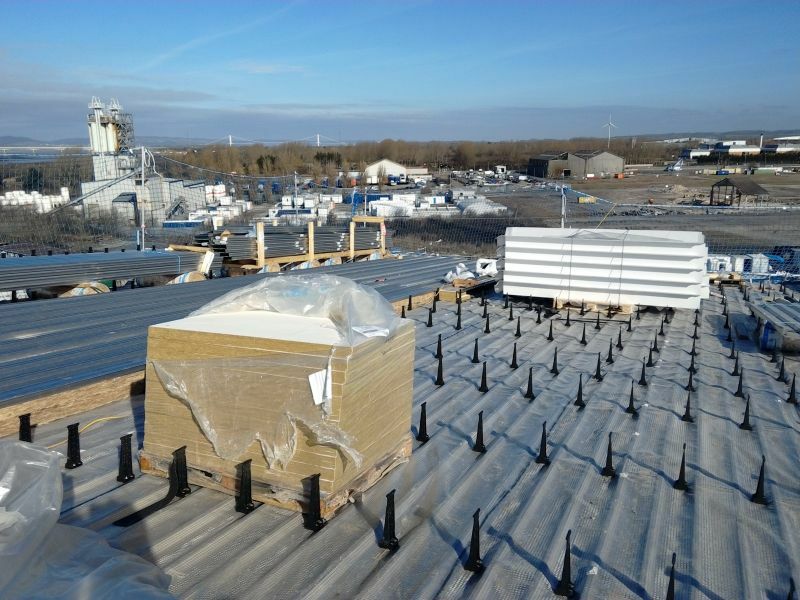 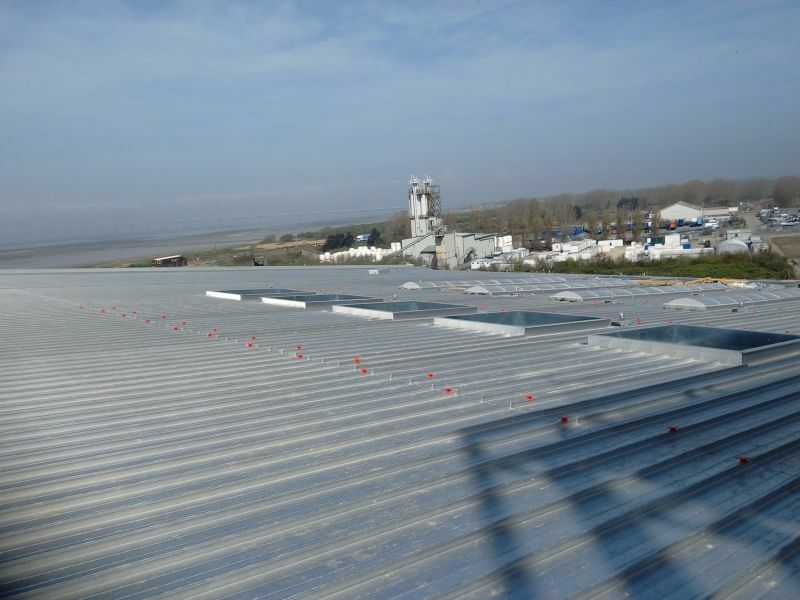 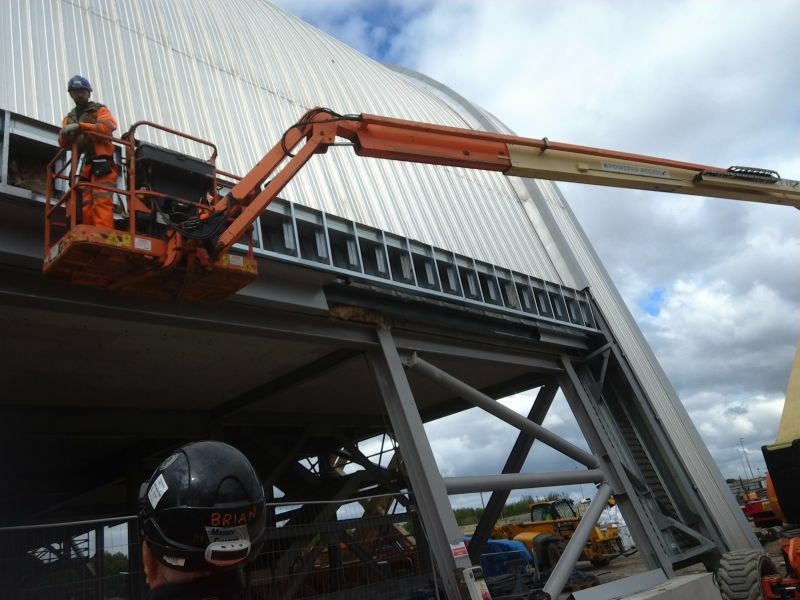 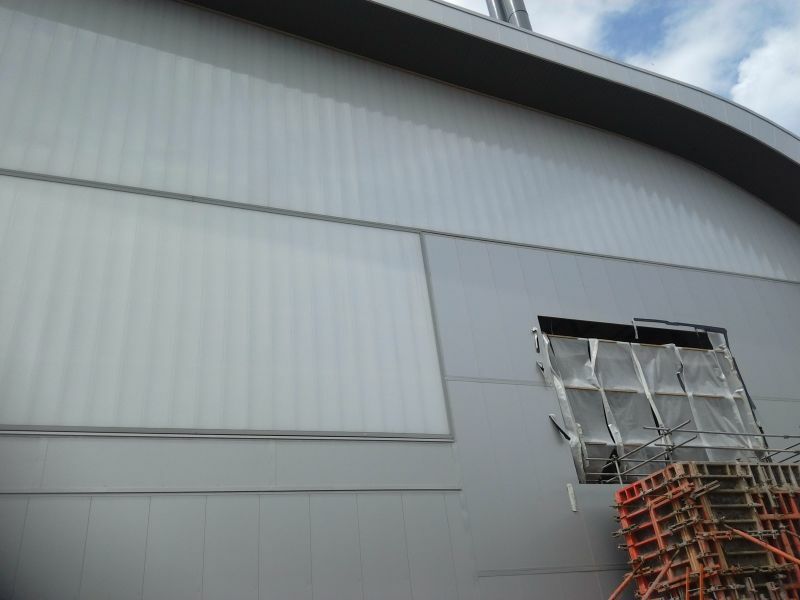 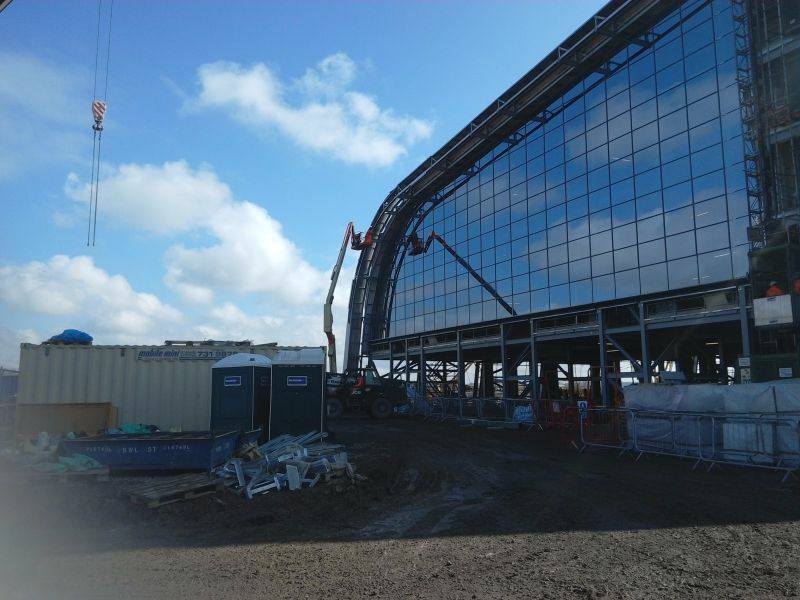 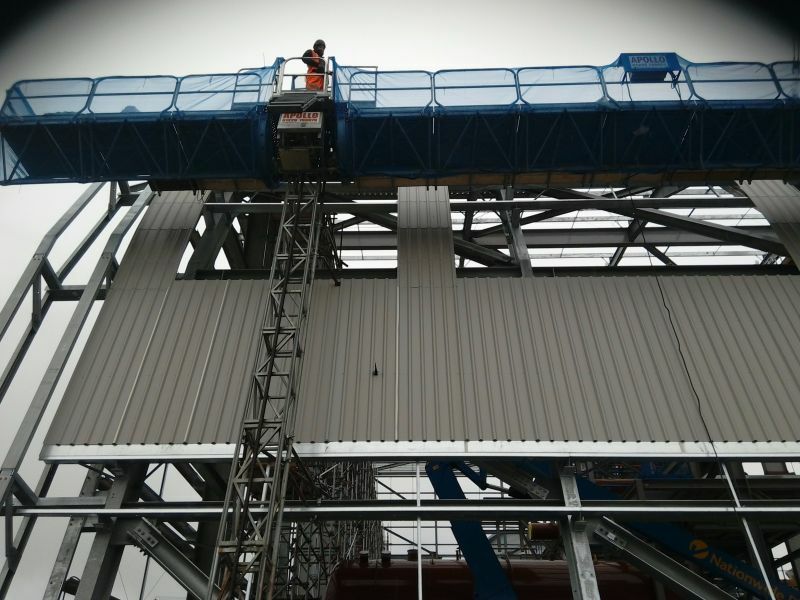 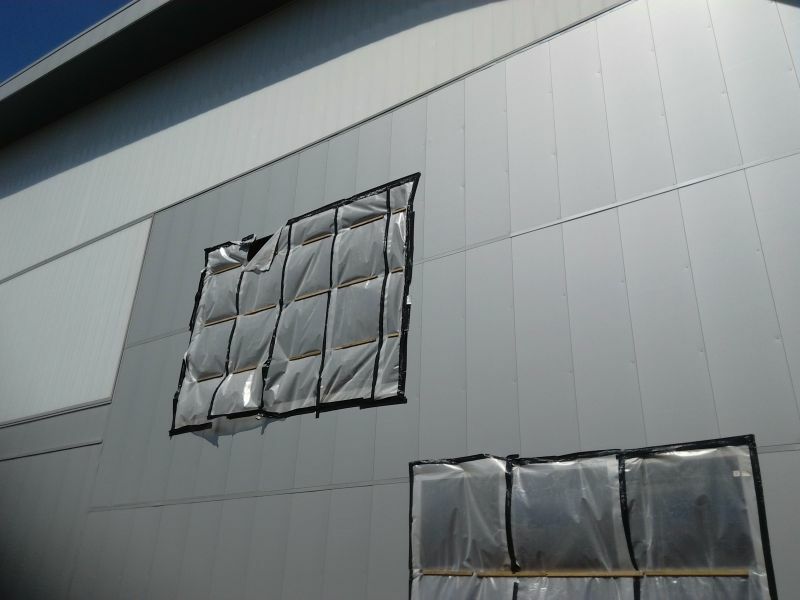 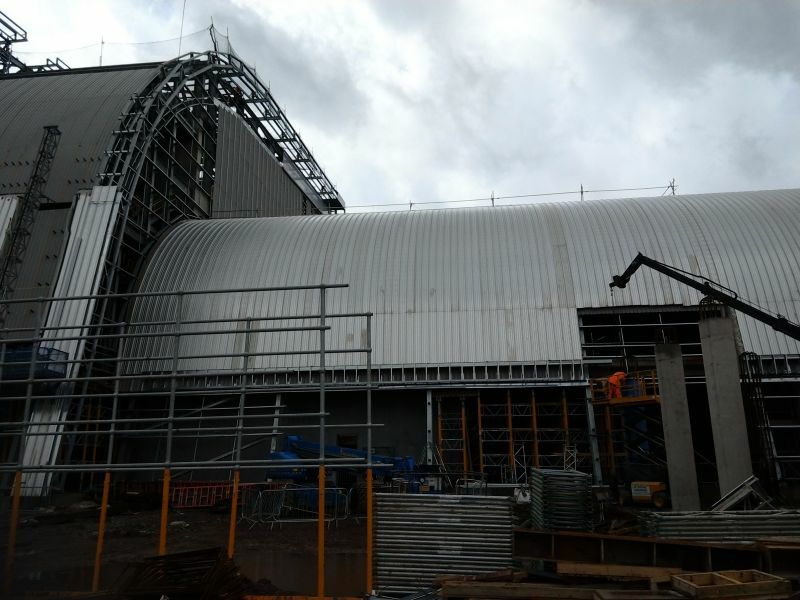 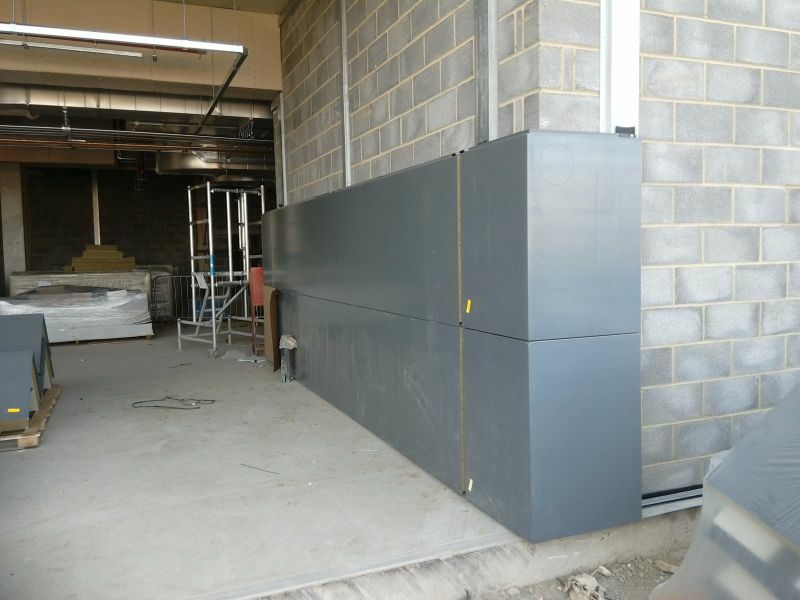 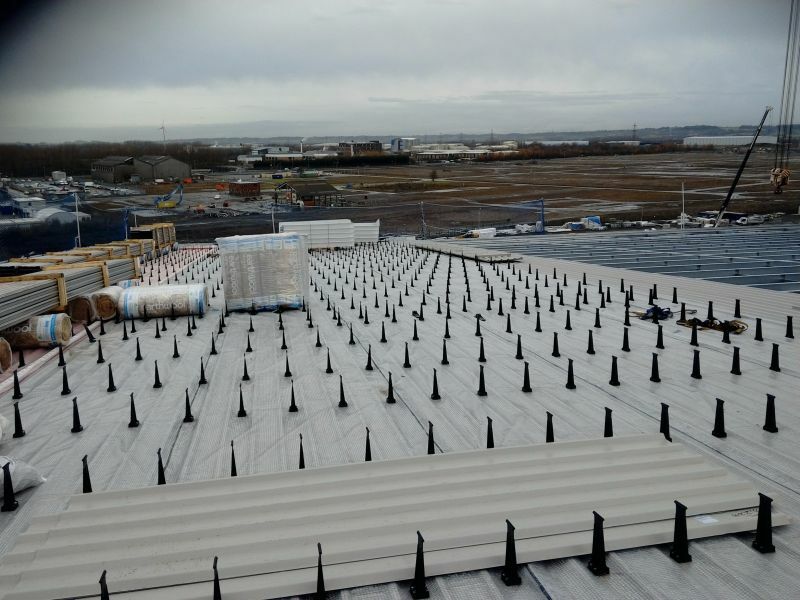 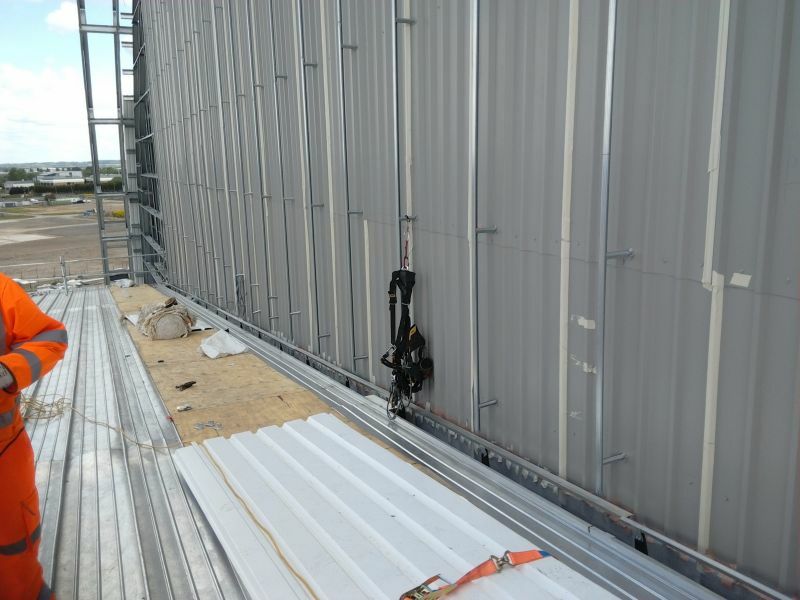 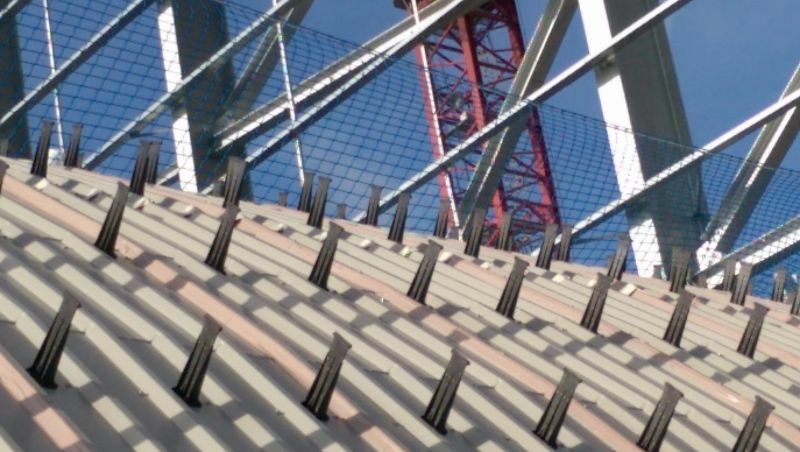 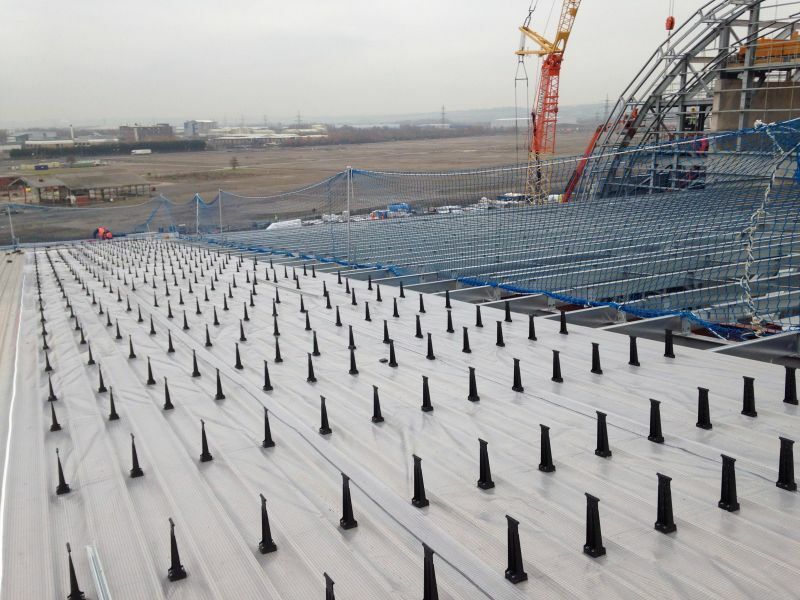 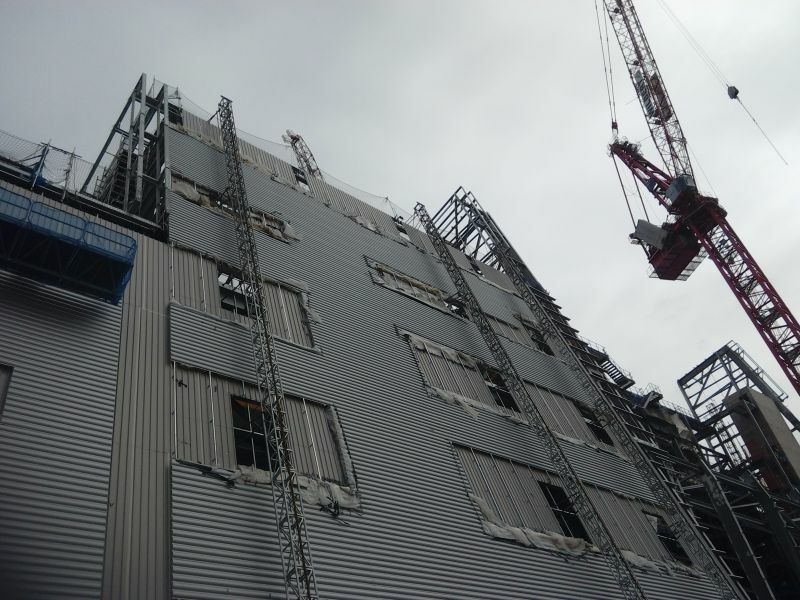 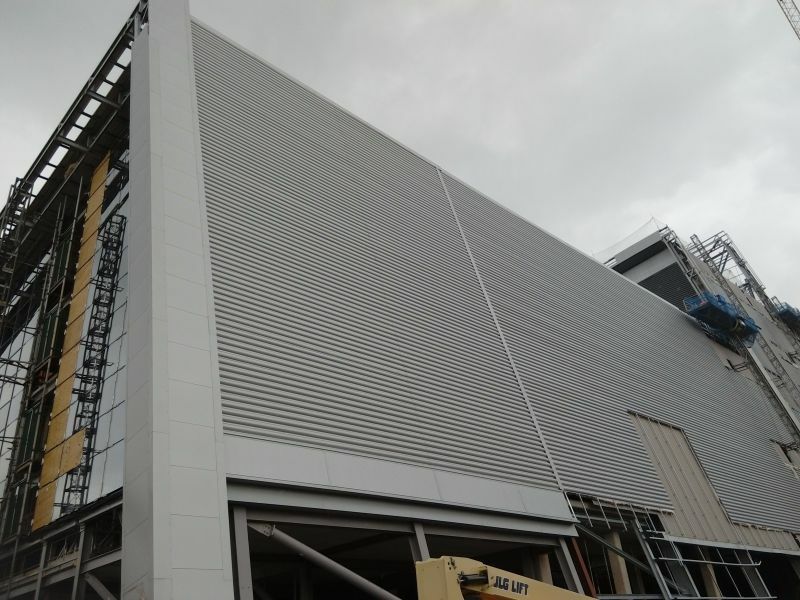 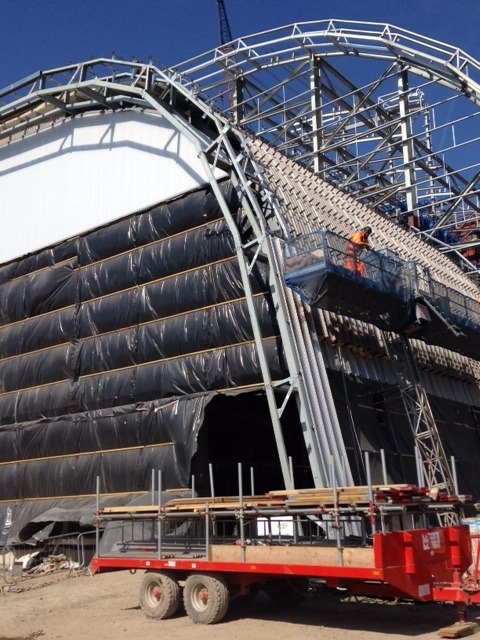 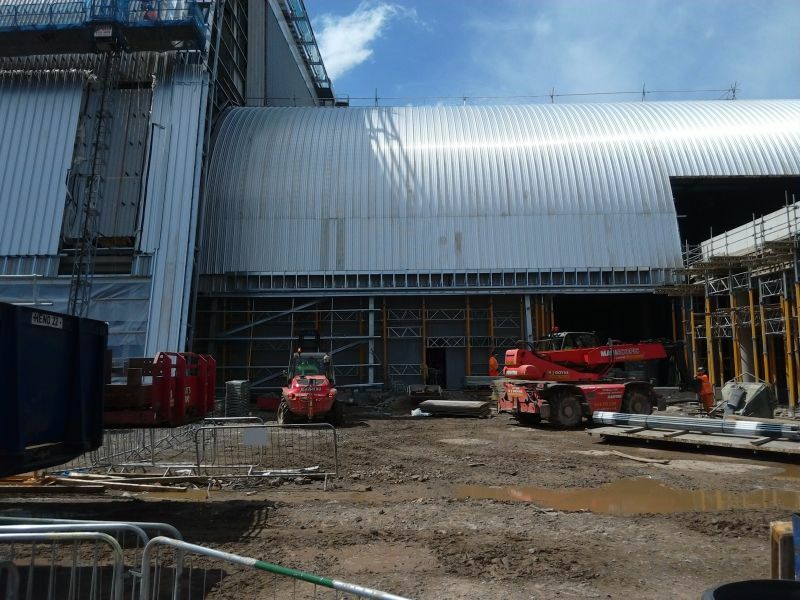 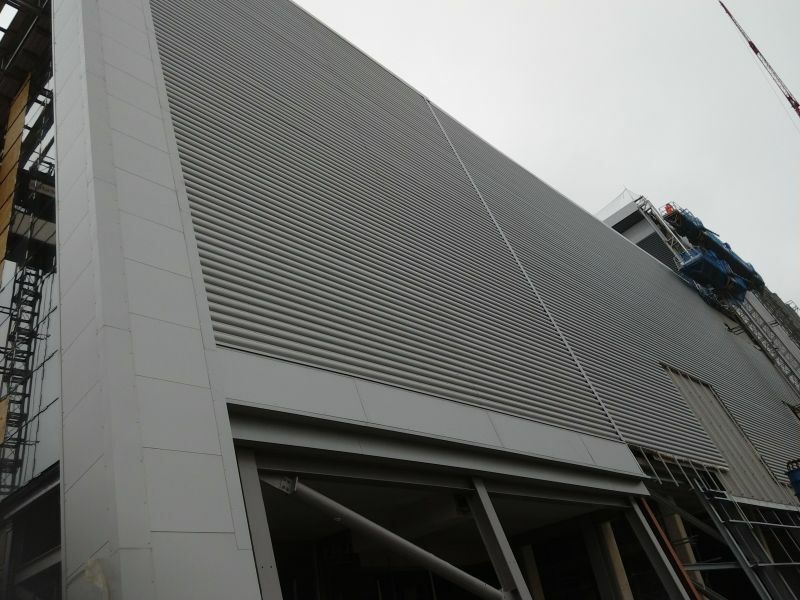 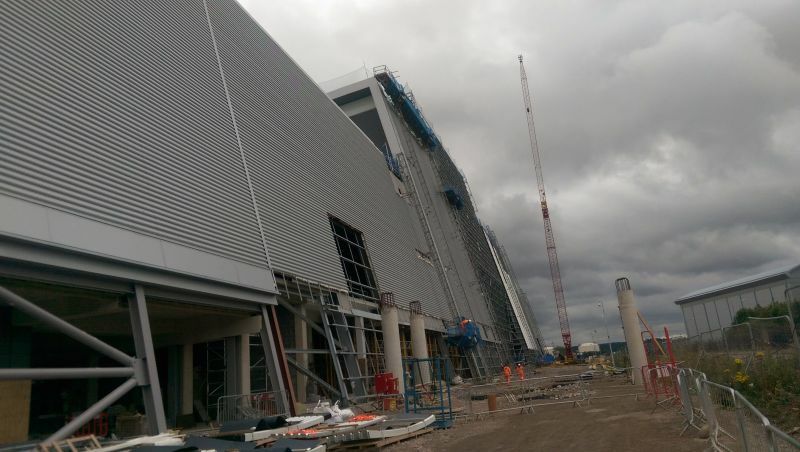 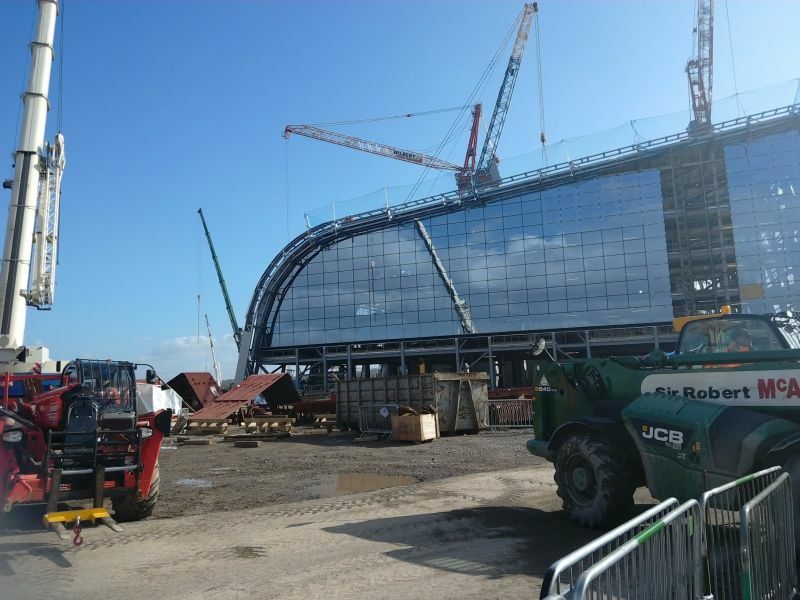 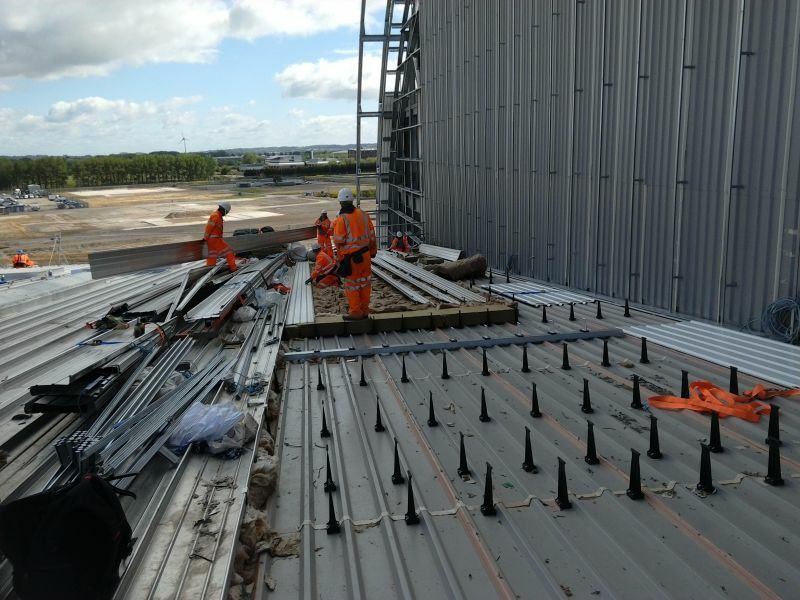 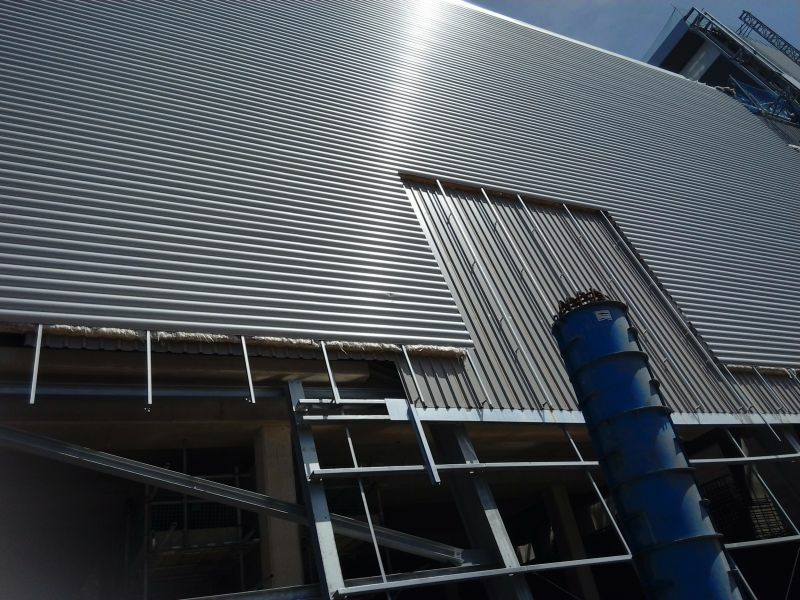 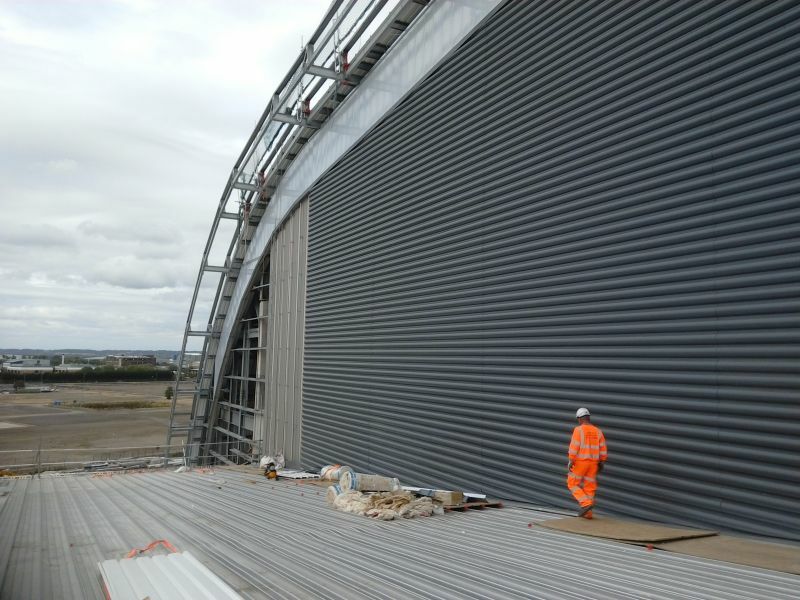 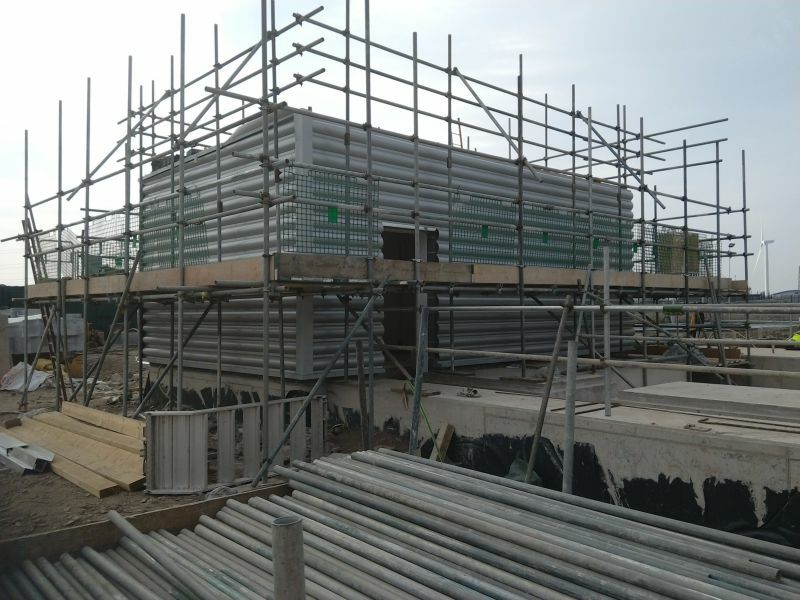 Massey Cladding Solutions employed by Sir Robert McAlpine to under take the entire envelope package. 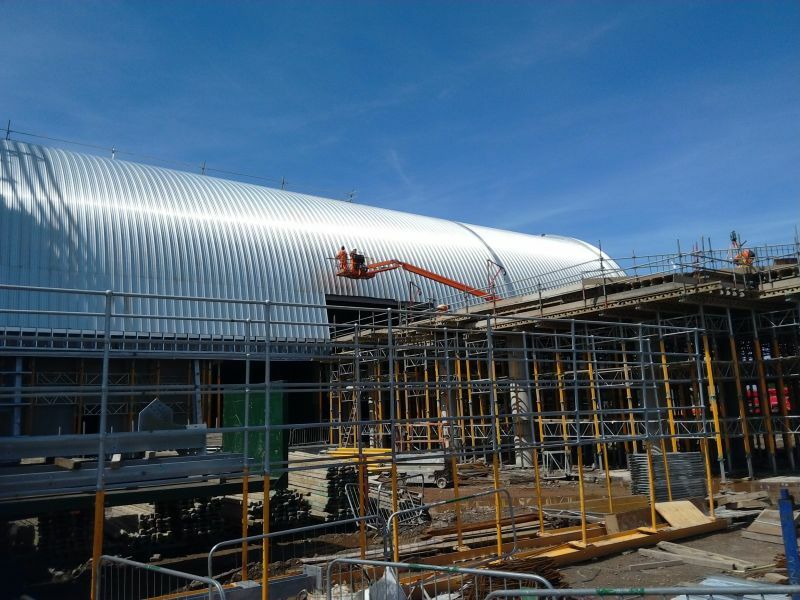 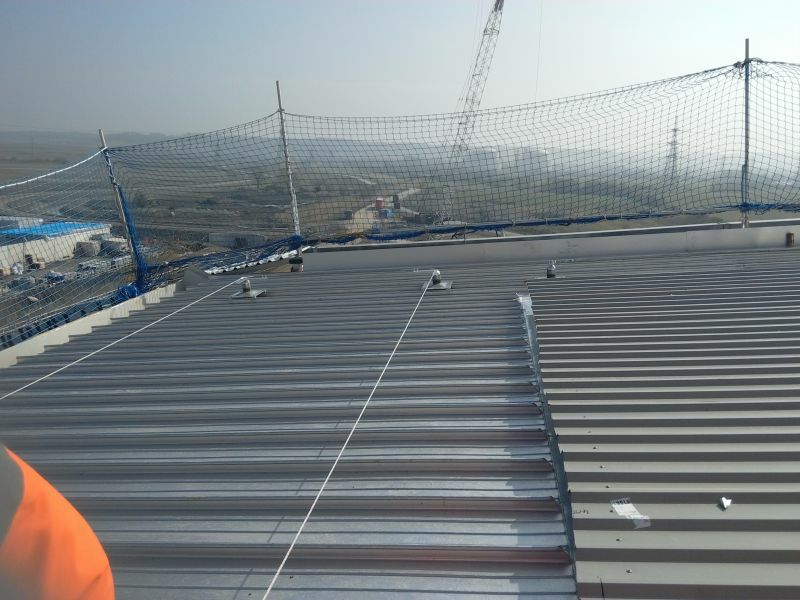 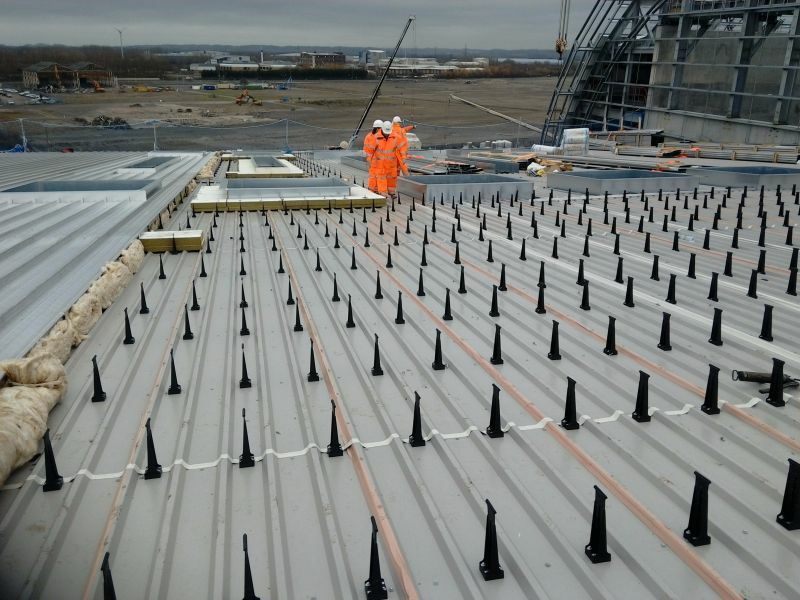 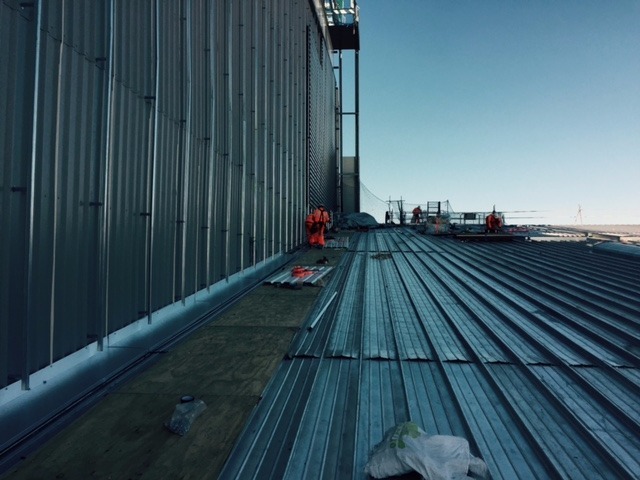 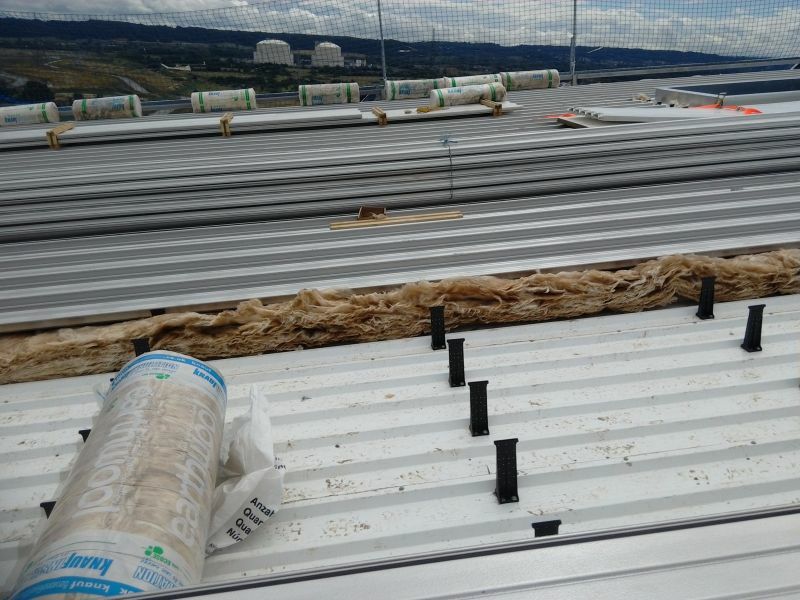 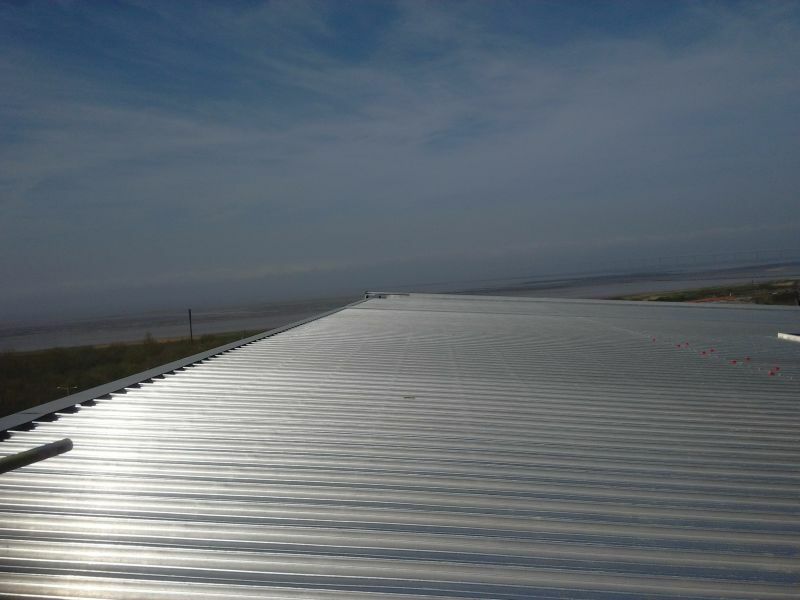 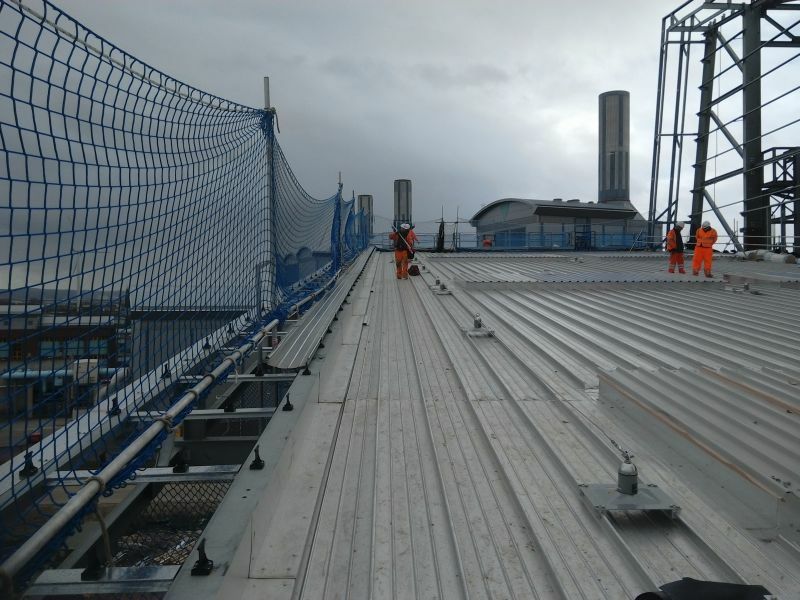 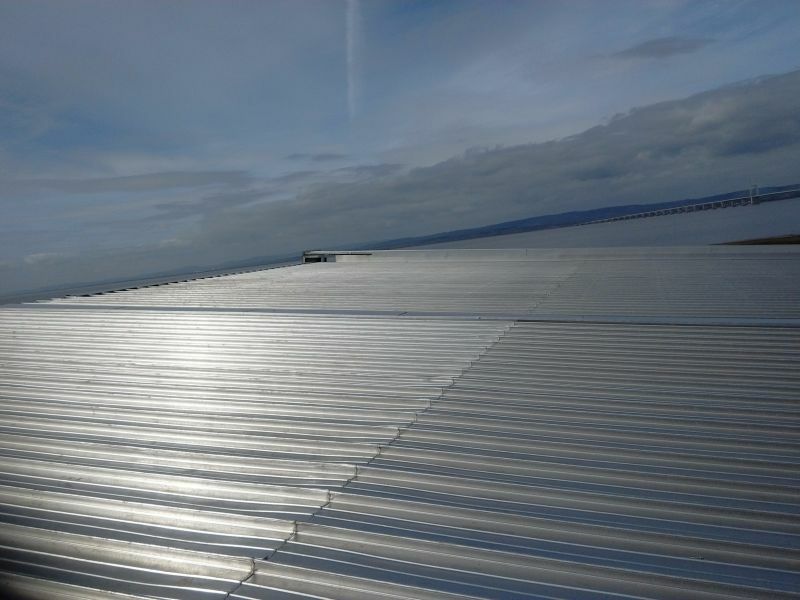 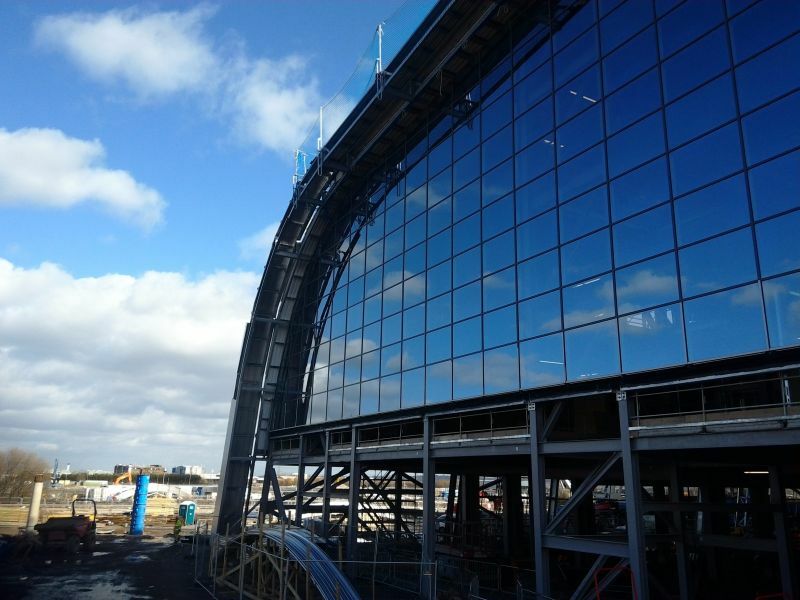 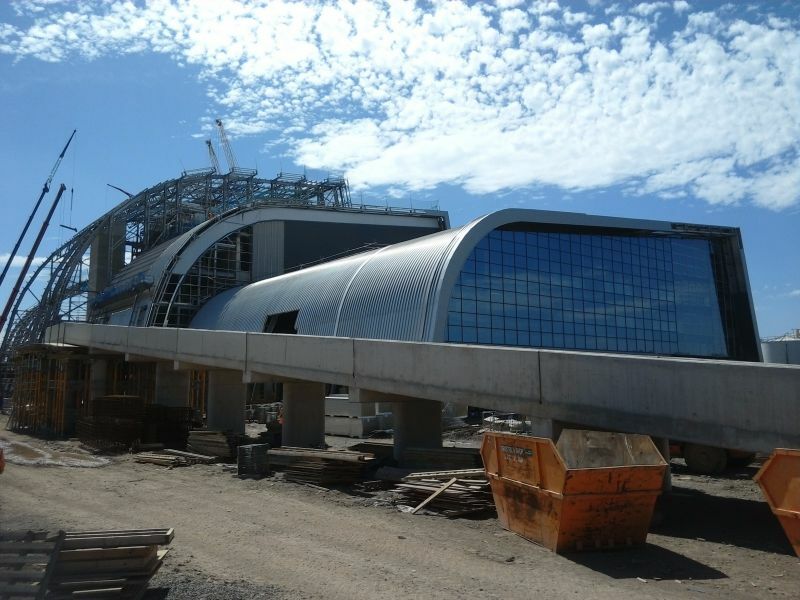 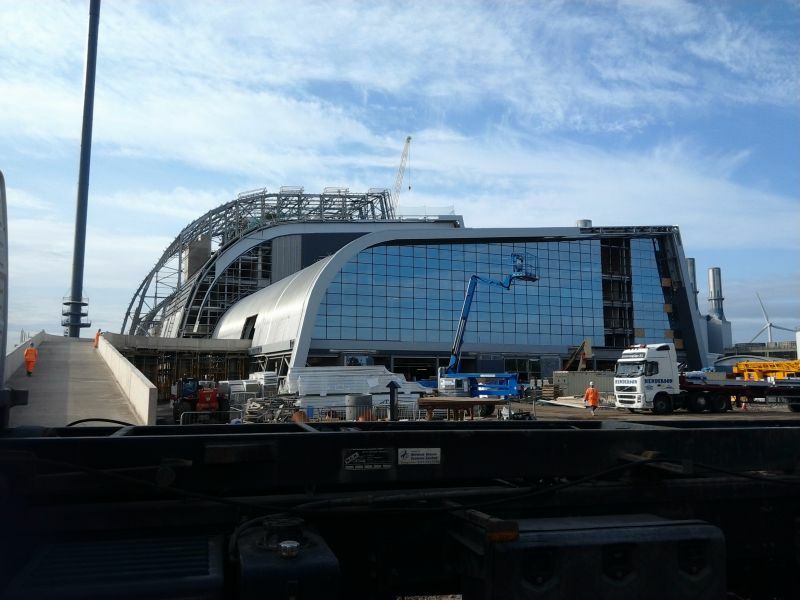 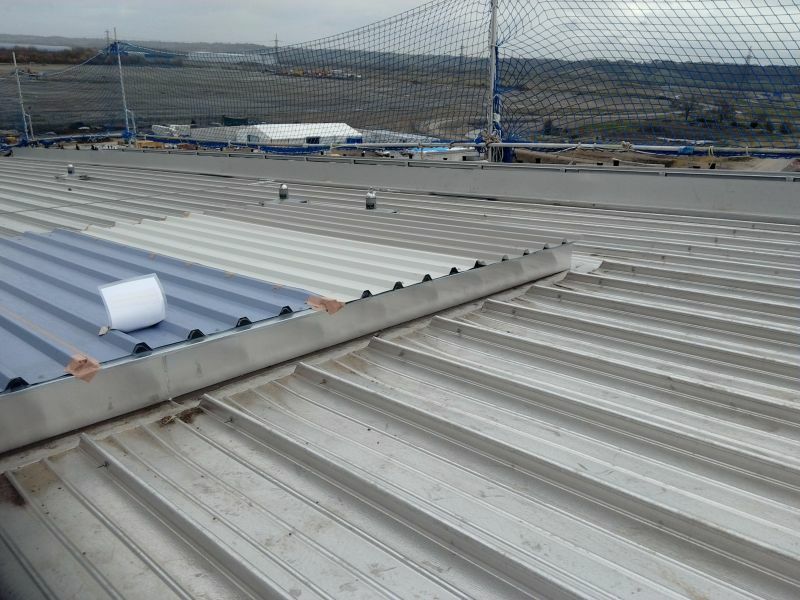 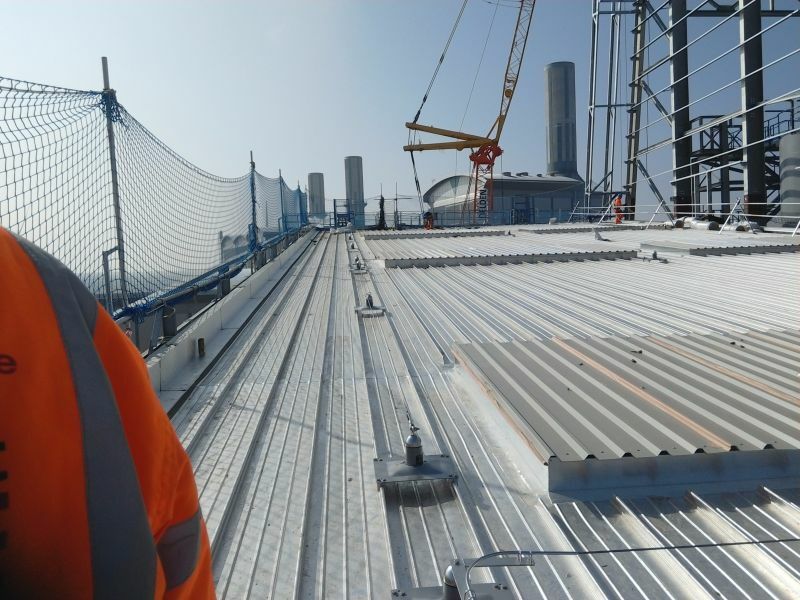 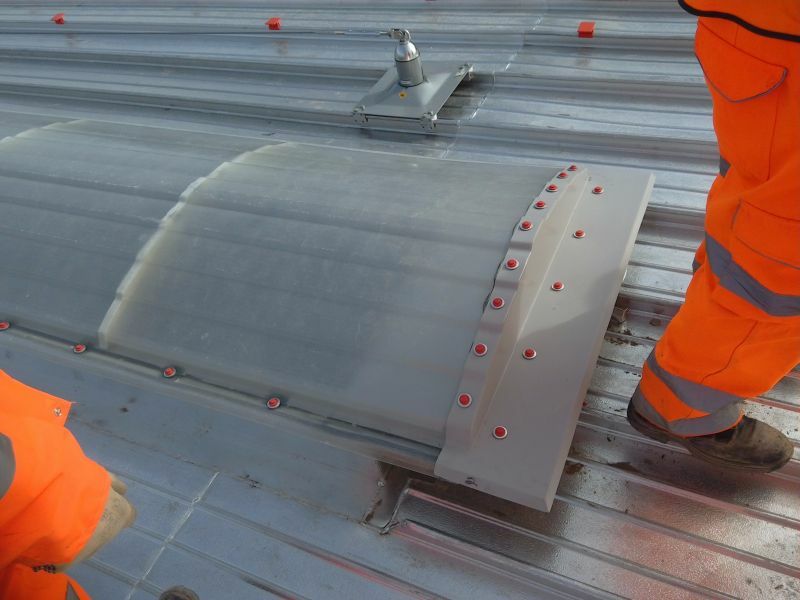 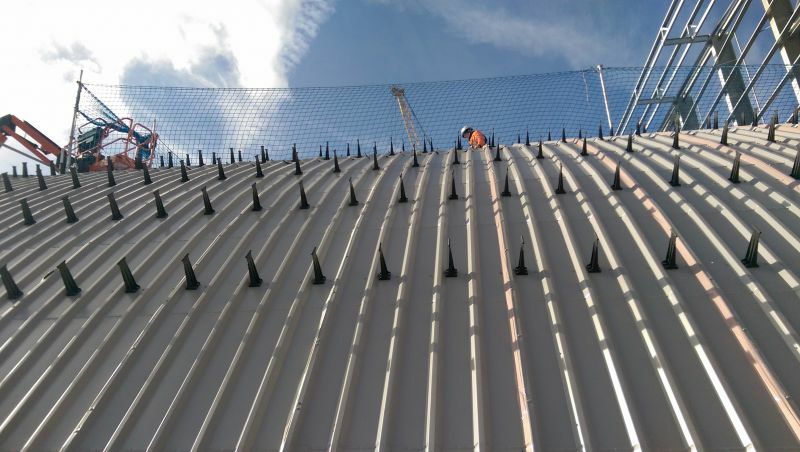 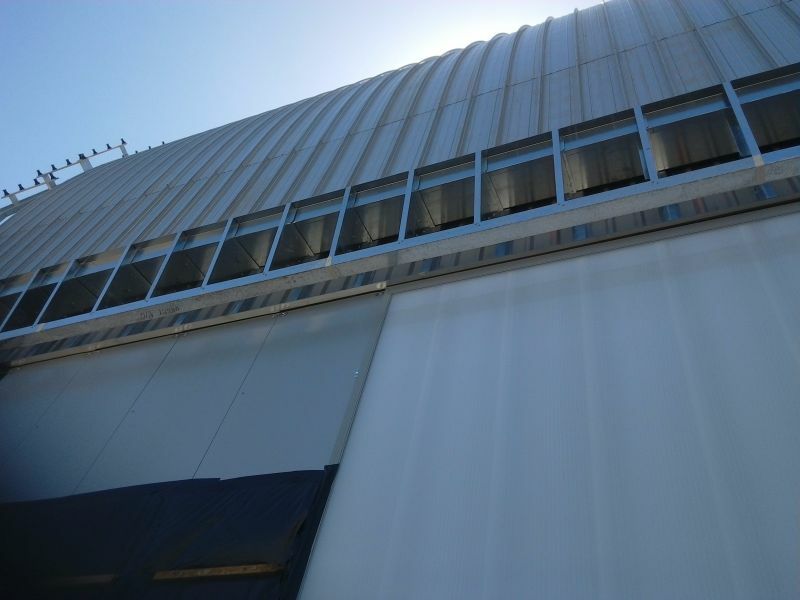 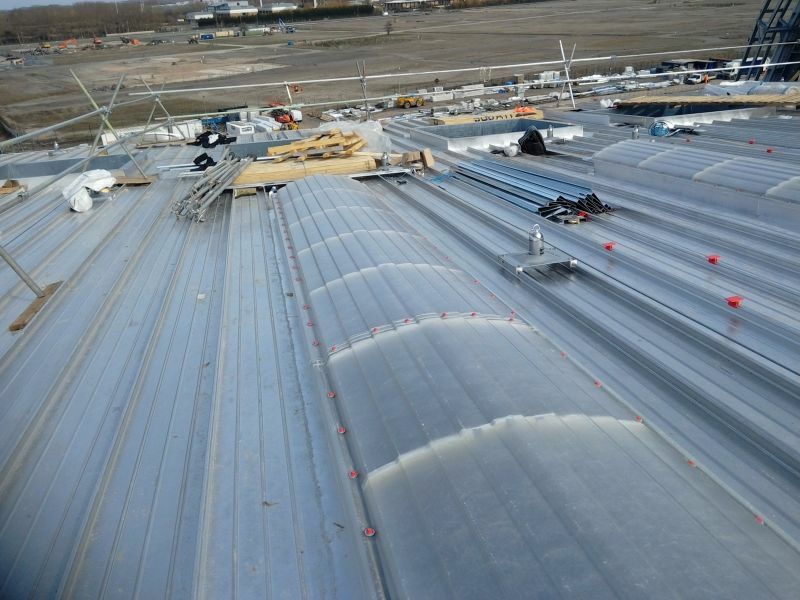 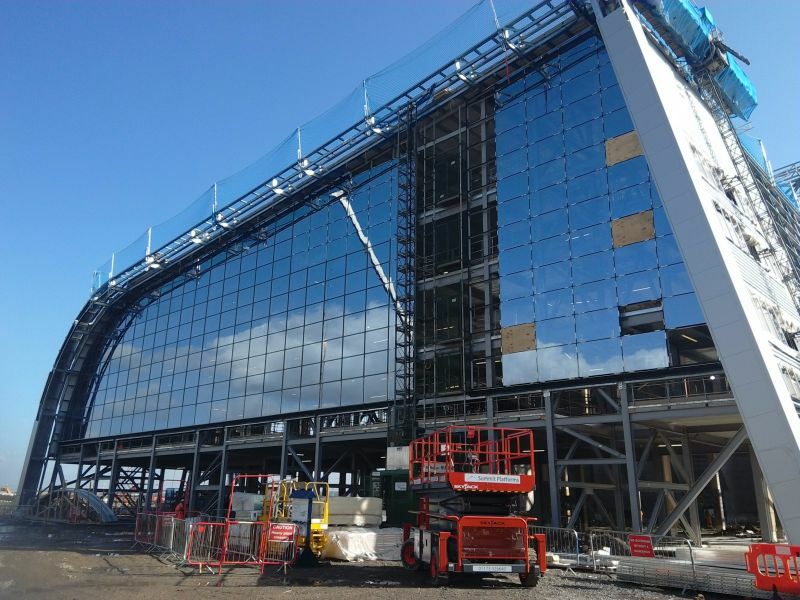 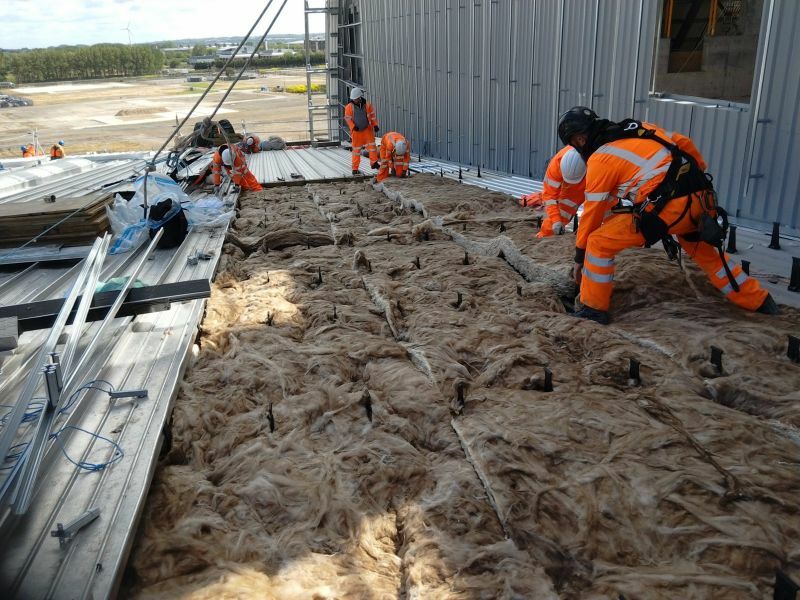 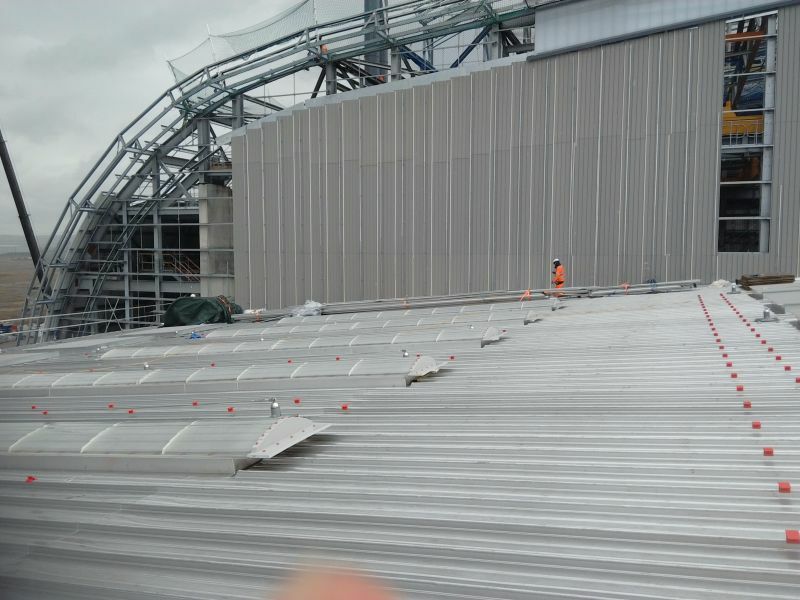 We are installing Kalzip to the roof and the curve and Euroclad to the South Elevations from 6 m.
Below 6m a combination of Eurobond F4 panels, Rodeca Polycarbonate panels and Ash and Leacy mesh are being used across the building. 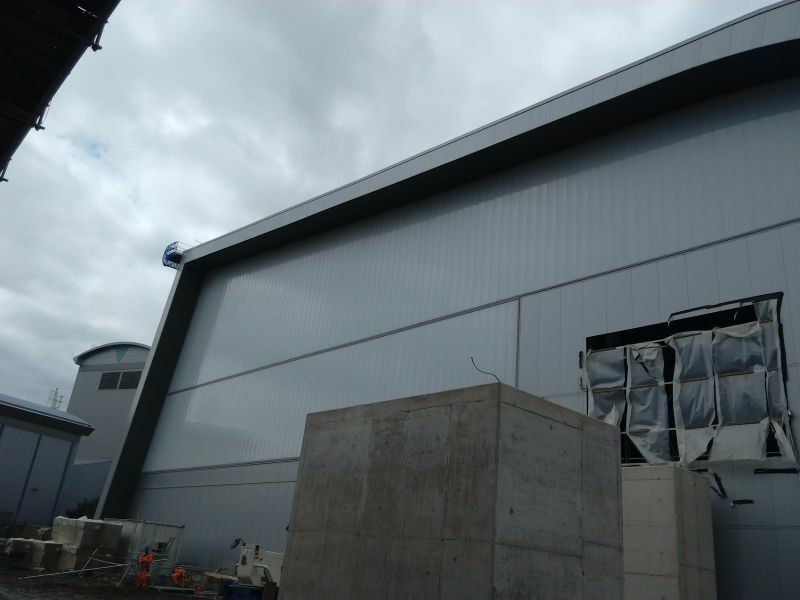 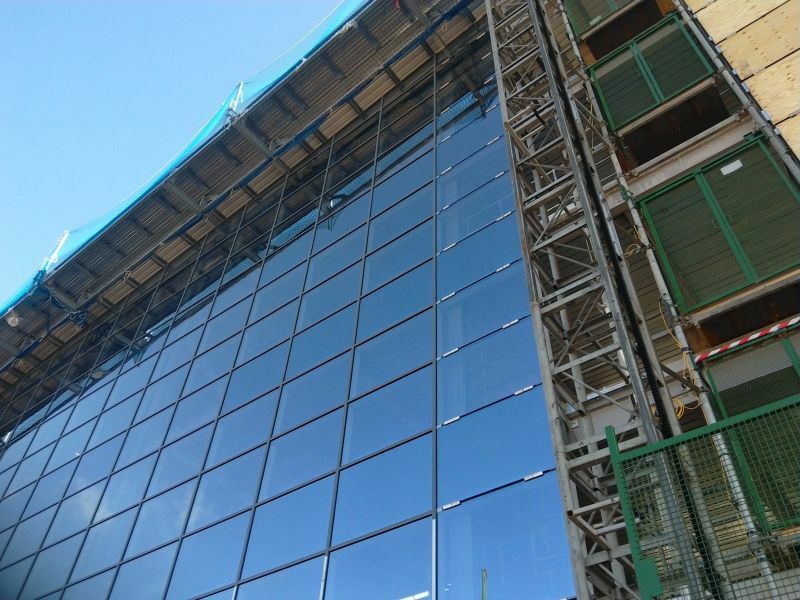 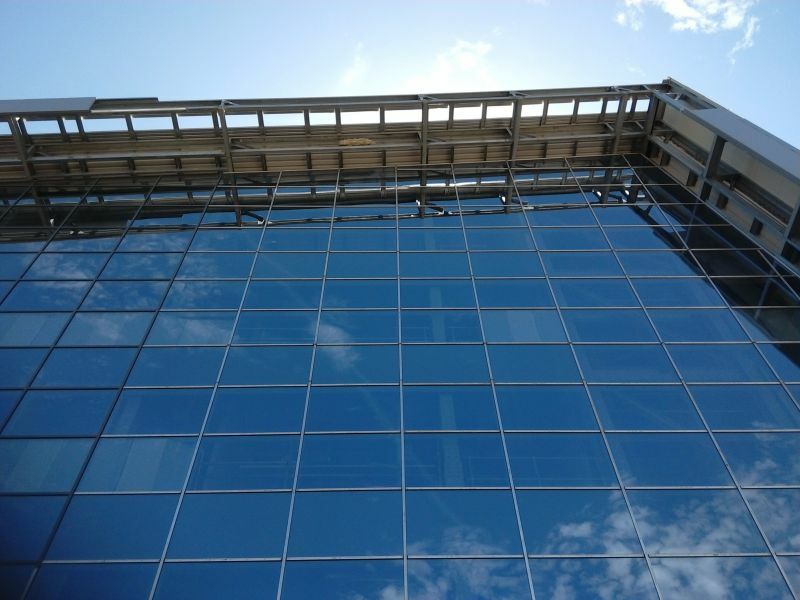 We have subcontracted the curtain walling and doors to Dudley's Aluminium Ltd who are using Kawneer across the entire project. 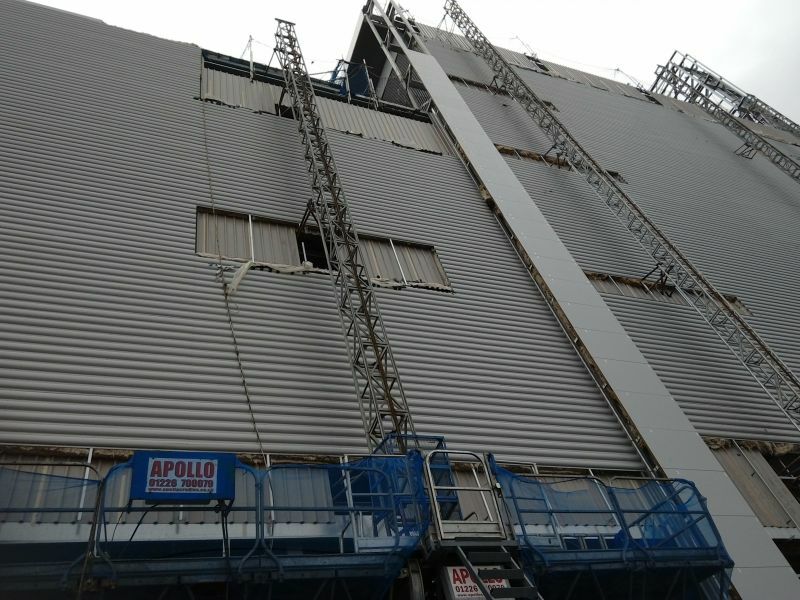 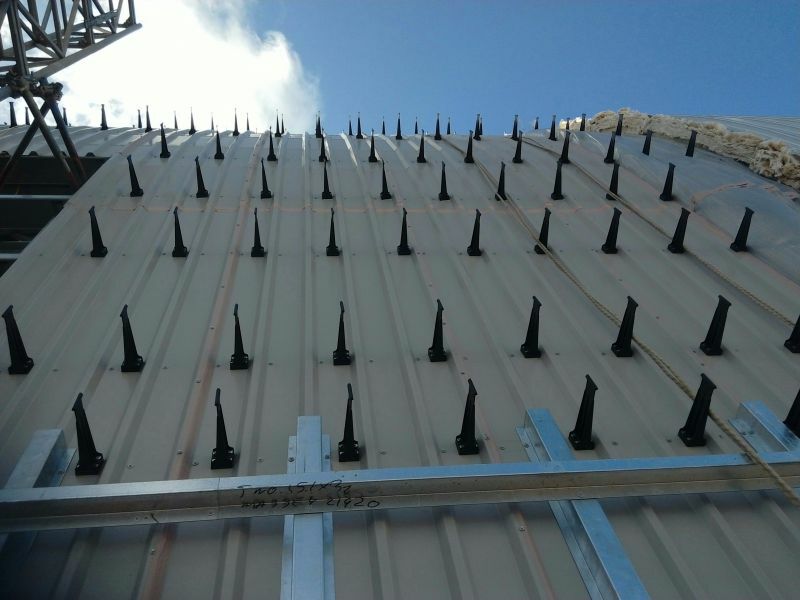 The tallest building we are working on is over 50 meters high as a result we have had to employ Apollo Crades to supply mast climber access to the roofs and Highersafe Rope Access specialist to installed the cladding on the cures and gable elevations that are to high for MEWP access.